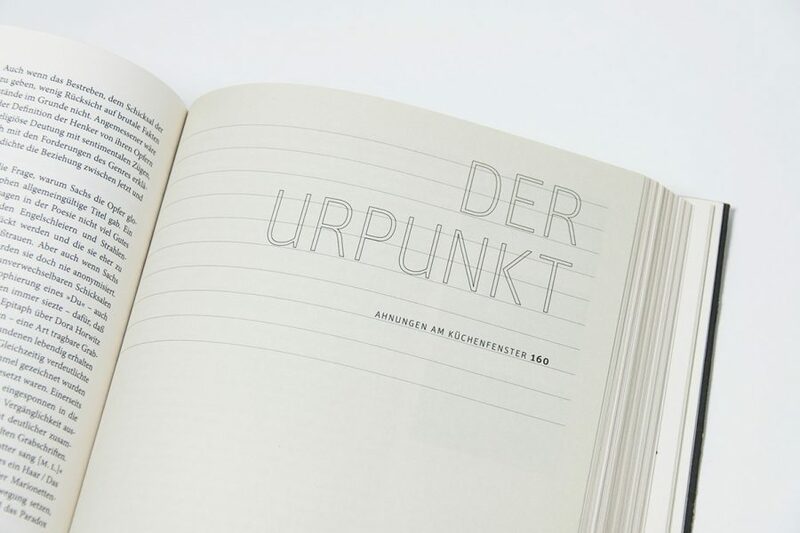 ALREADY DISCOVERED THE gewerkdesign ONLINE SHOP? 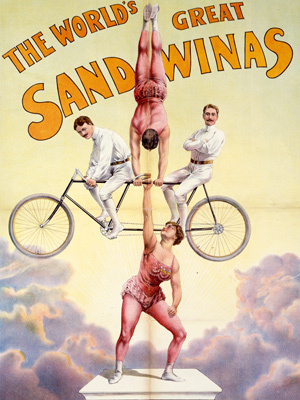 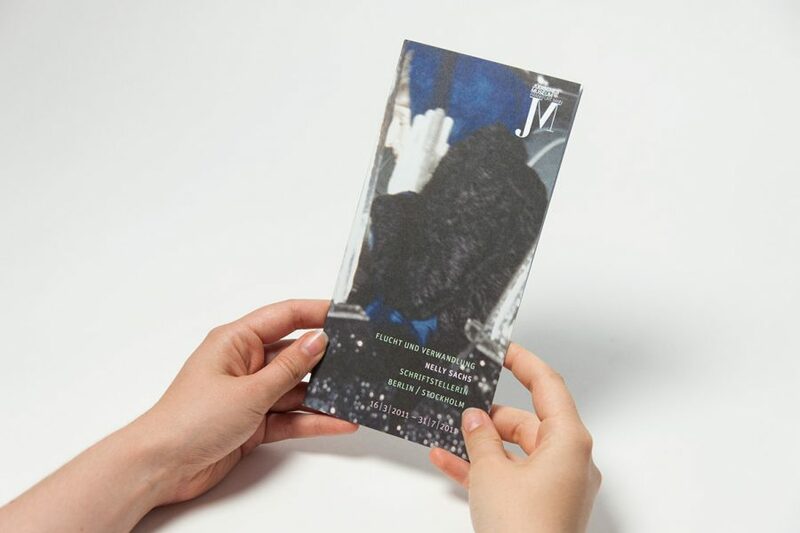 Only one of four differently coloured versions of the mirror film cover. 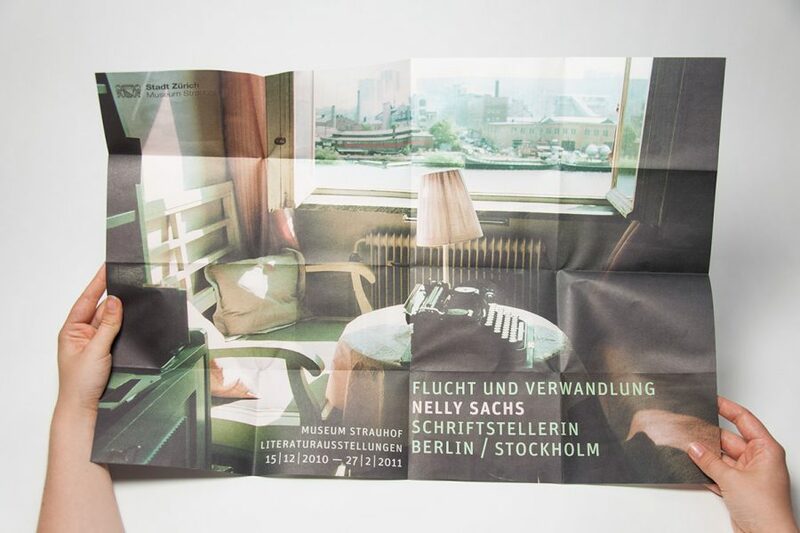 Celebrating the 100th anniversary of the Bauhaus in 2019, the Bauhaus-Archive / Museum für Gestaltung in Berlin is presenting its unique »New Bauhaus« photography collection. 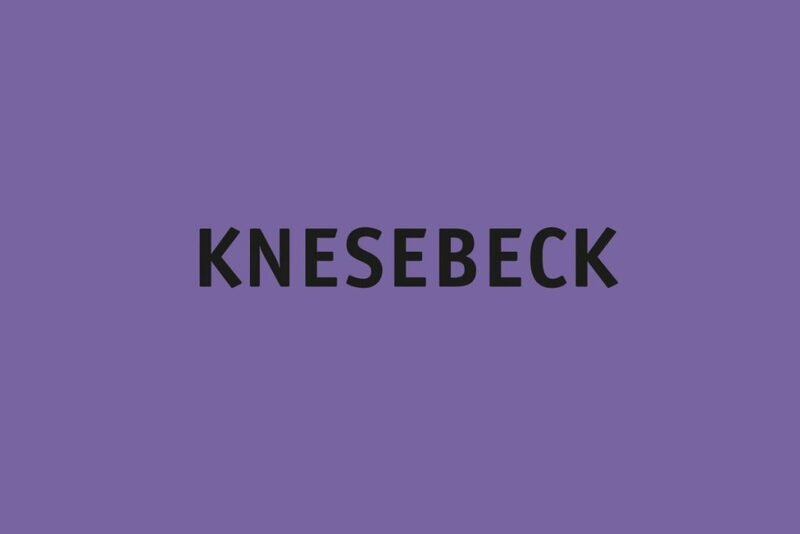 The show is open until March 5th 2018. 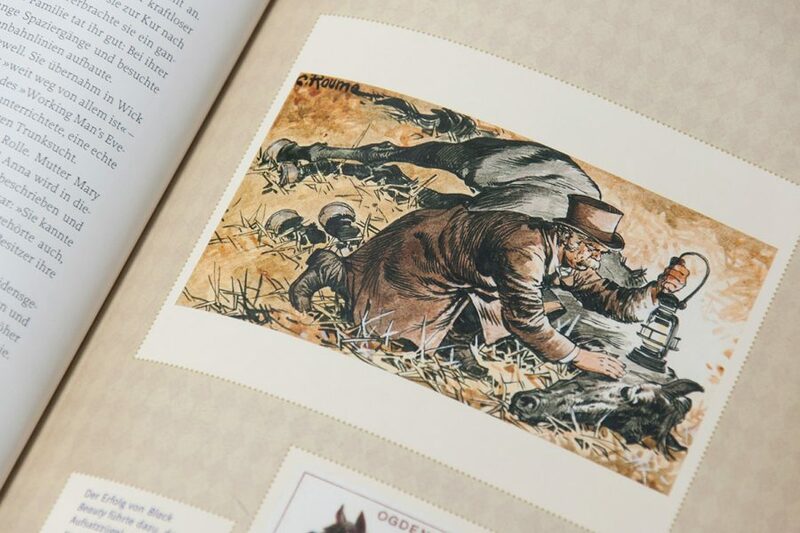 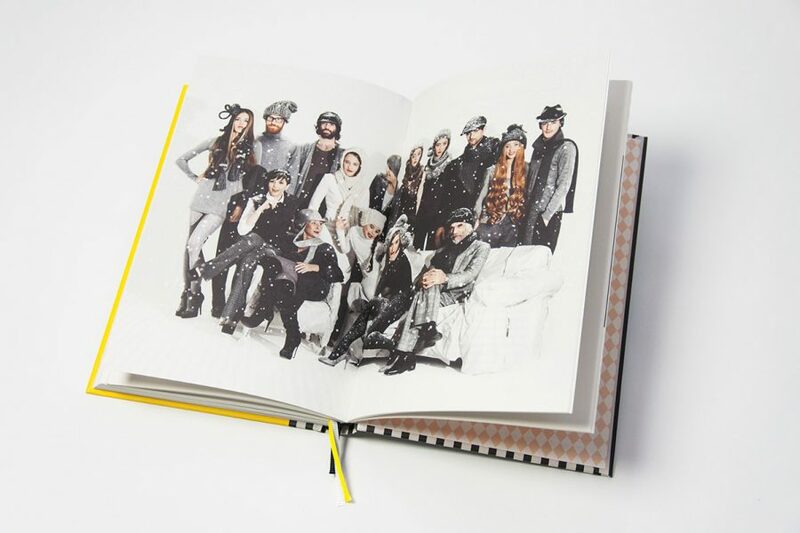 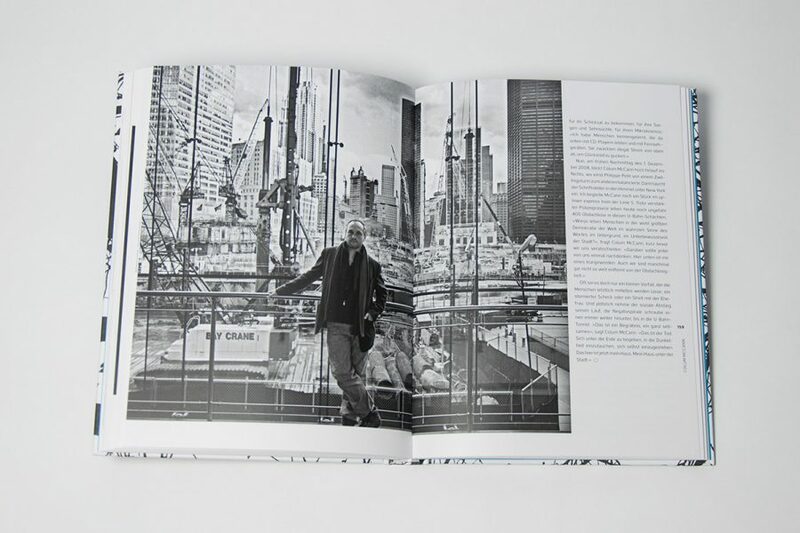 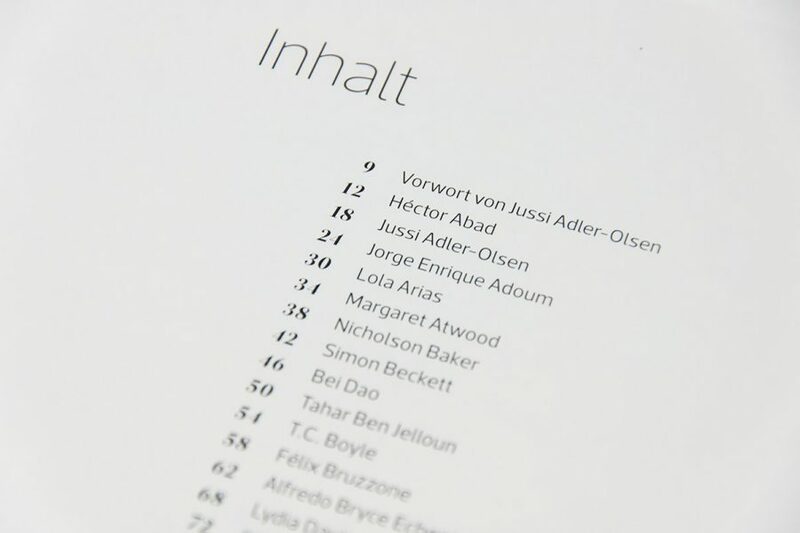 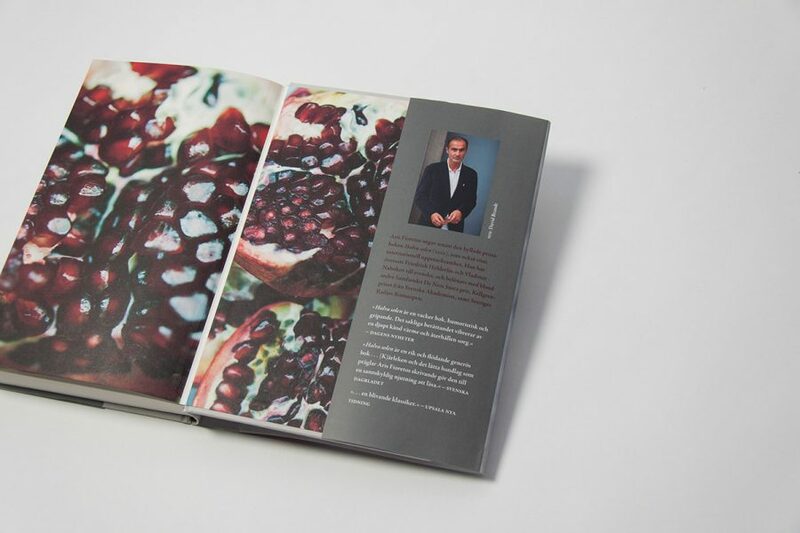 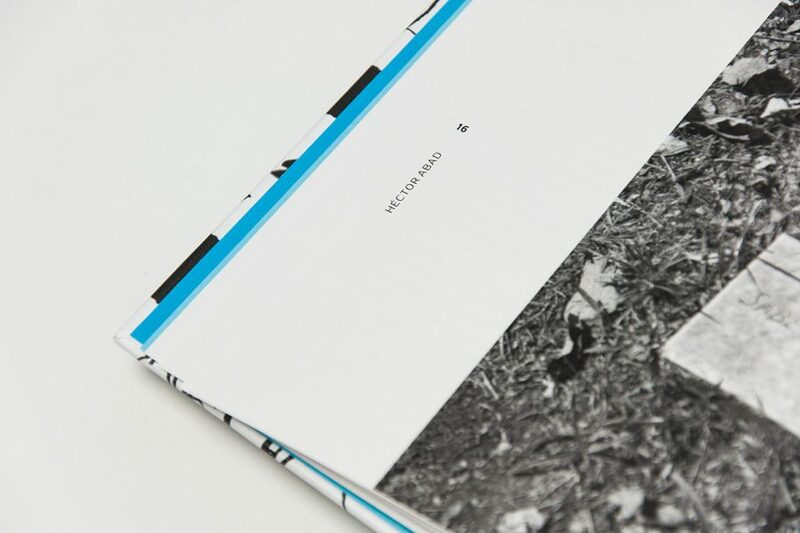 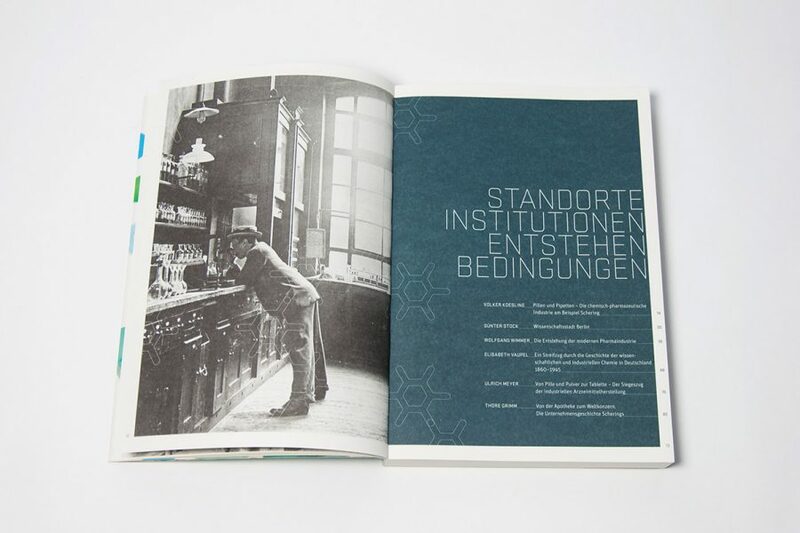 In addition to the exhibition design, gewerkdesign also designed the accompanying catalogue. 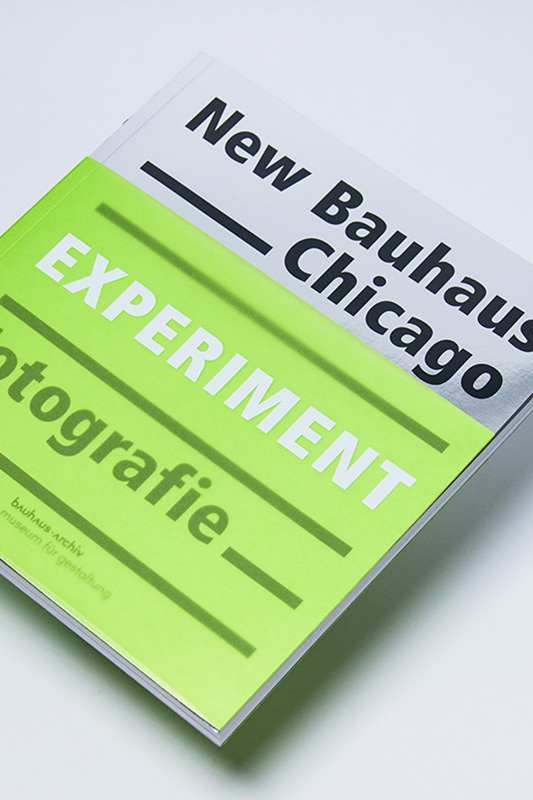 Luxuriously illustrated, the catalogue presents 80 years of photography at the »New Bauhaus« and later Institute of Design in Chicago. 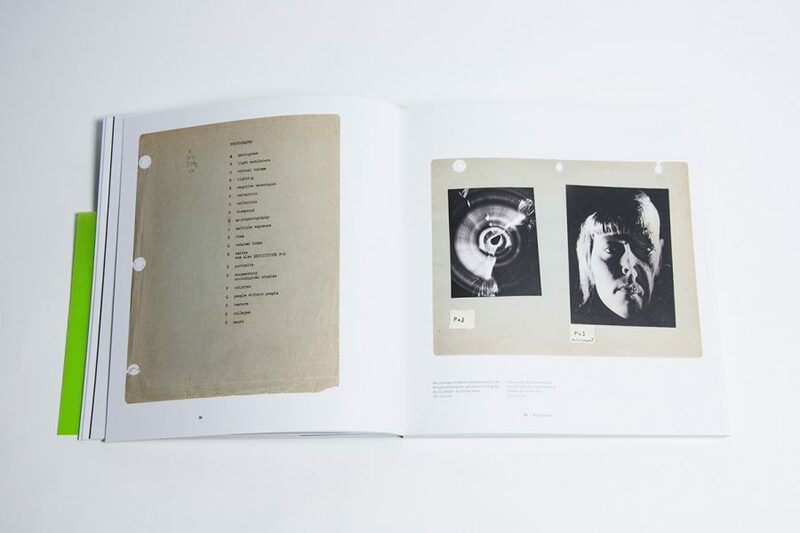 There, teachers like László Moholy-Nagy, György Kepes, Arthur Siegel, Harry Callahan and Aaron Siskind encouraged a new approach to the medium of photography. 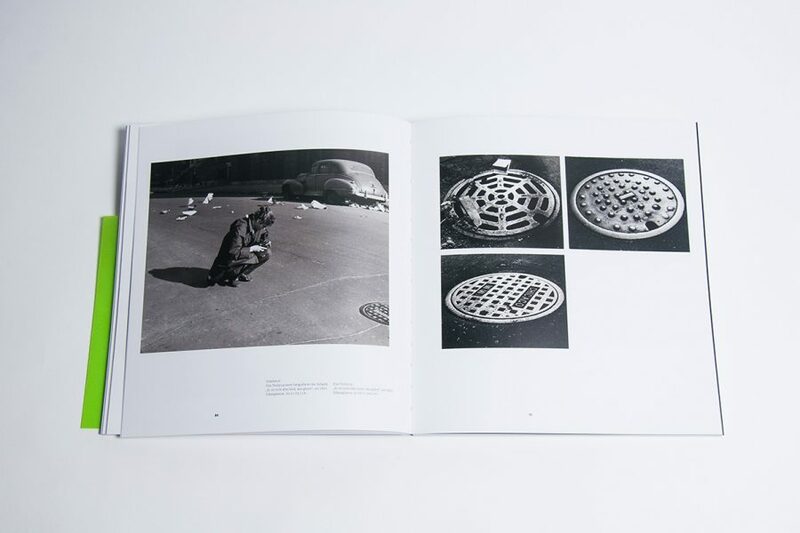 Their experimental spirit continues to influence generations of photographers up till today. 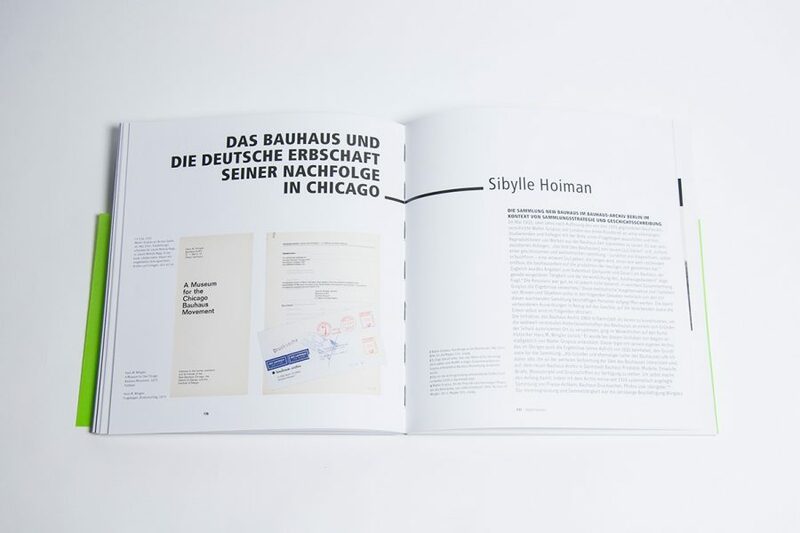 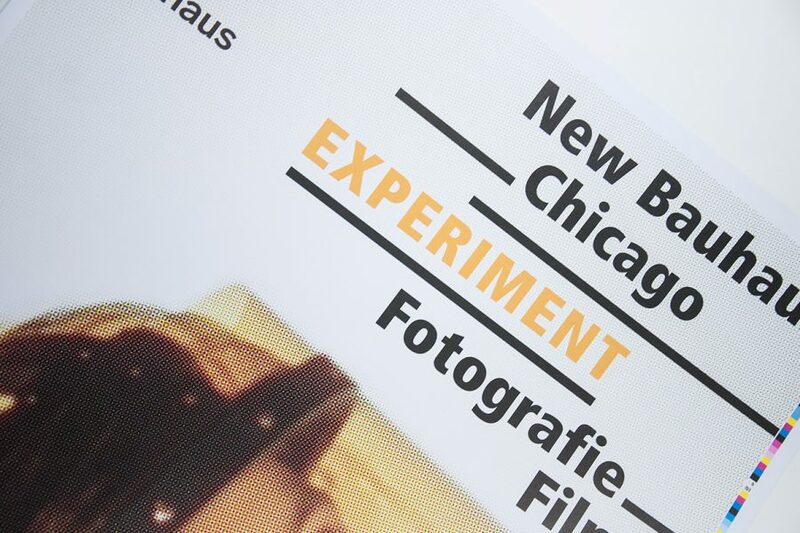 Showing the »New Bauhaus Chicago« school’s creativity and keenness to experiment was the exhibition design’s primary objective. 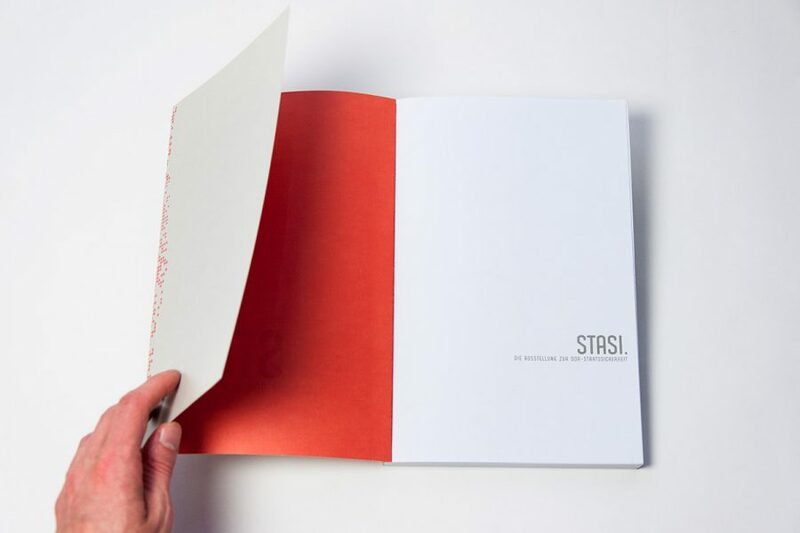 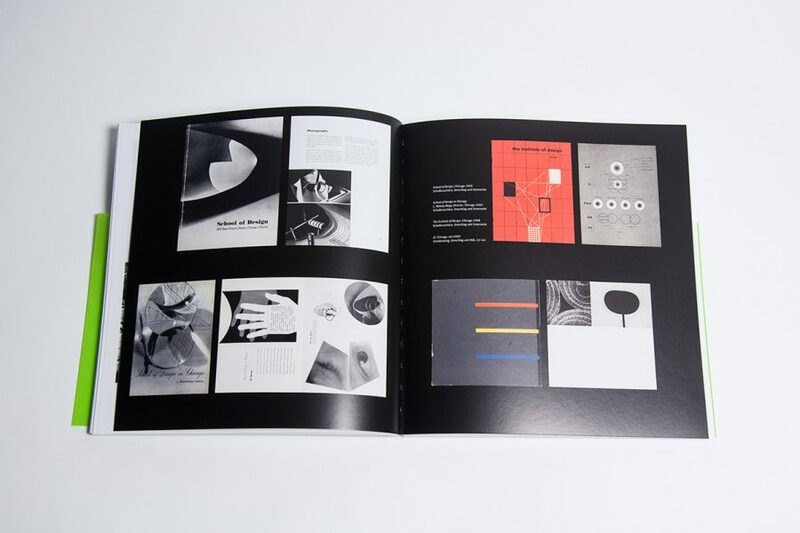 The catalogue, too, is inspired by the design of the »New Bauhaus« and plays with its materials, colours, and motives: the design elaborates on the transparencies, reflections, and colourful plastics often used in its experimental films and photography. 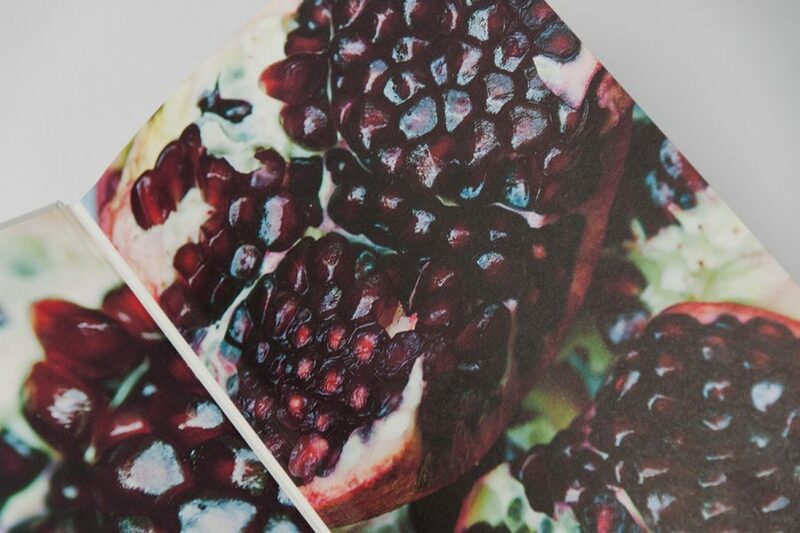 The pomegranate symbolizes Mary’s rich and abundant personality beneath her life of hardship. 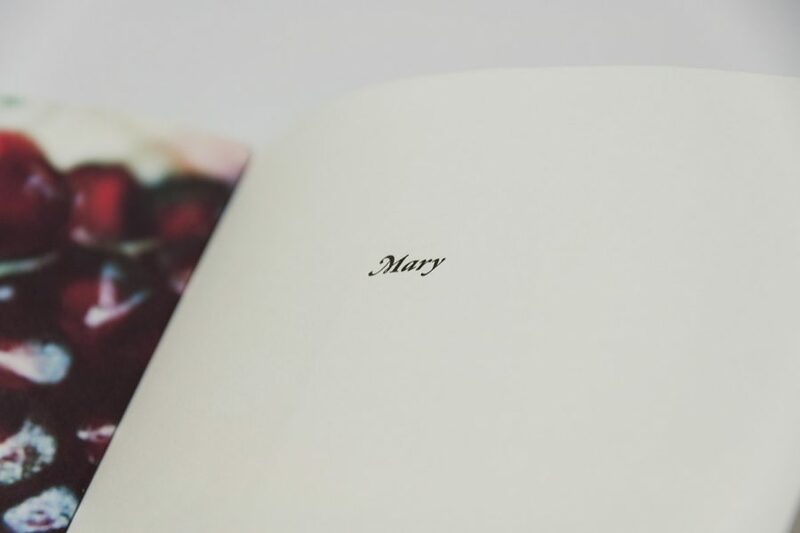 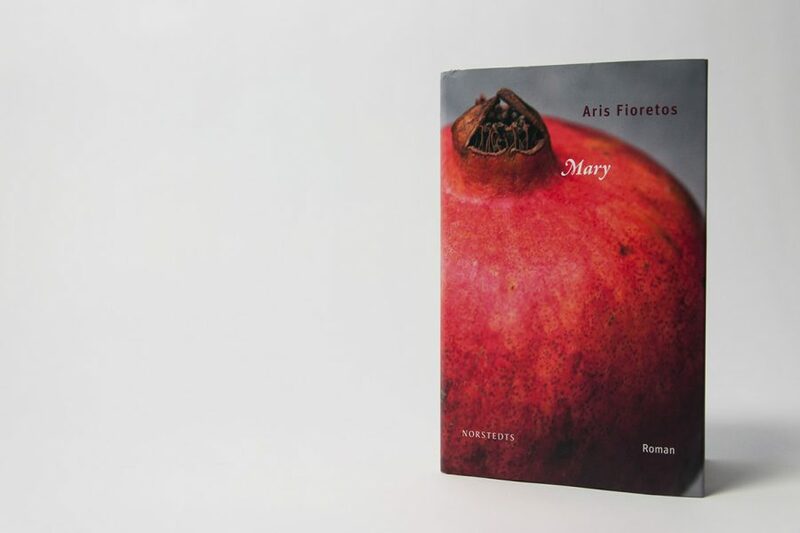 In »Mary« Swedish novelist Aris Fioretos tells the story of a woman arrested in Greece in November 1973, the time of Greece’s military dictatorship, and her experiences with hunger, cold and torture in the secret police’s prisons. 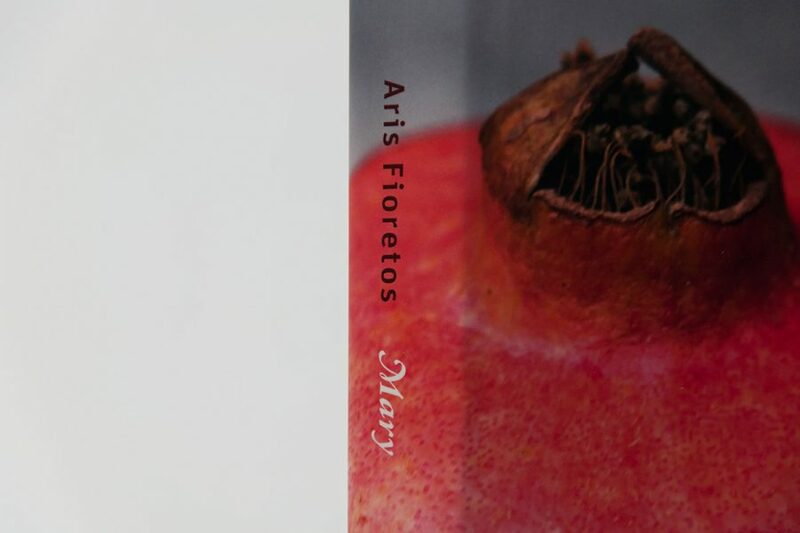 The motive of the pomegranate on the cover and fly leaf of the book symbolizes Mary’s rich and abundant personality beneath her life of hardship. 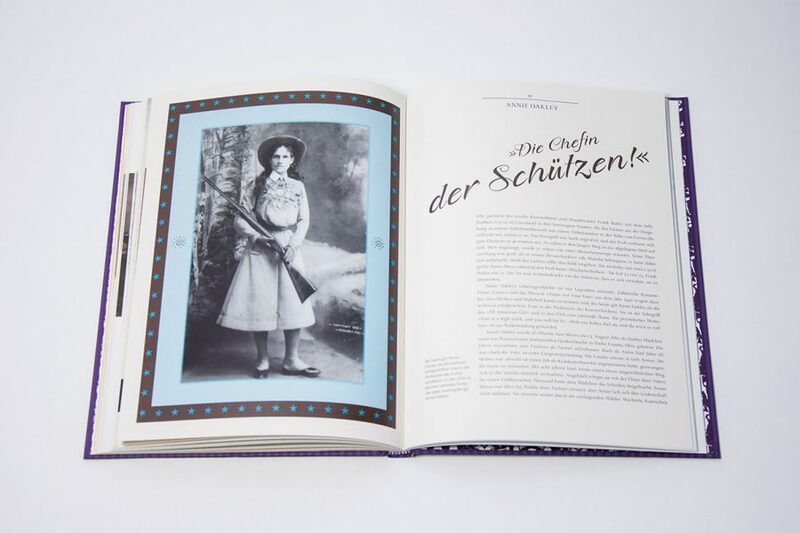 The book series »Portraits of Forceful Women« published by the Knesebeck Verlag introduces the unusual biographies of daring women, women who dedicated their lives to animal science, or women without whom many artists might have remained unknown. 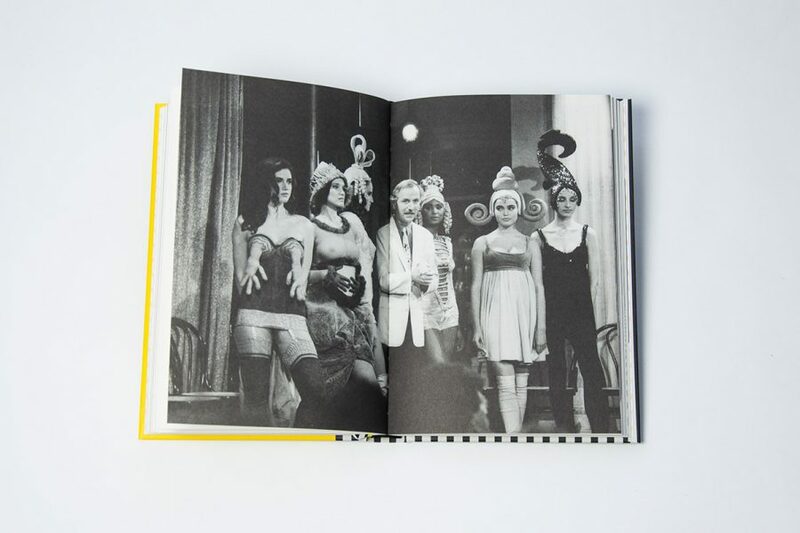 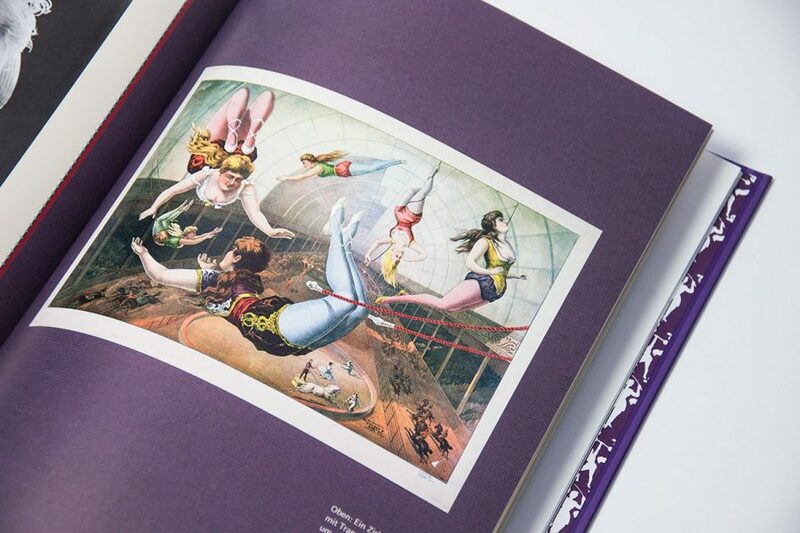 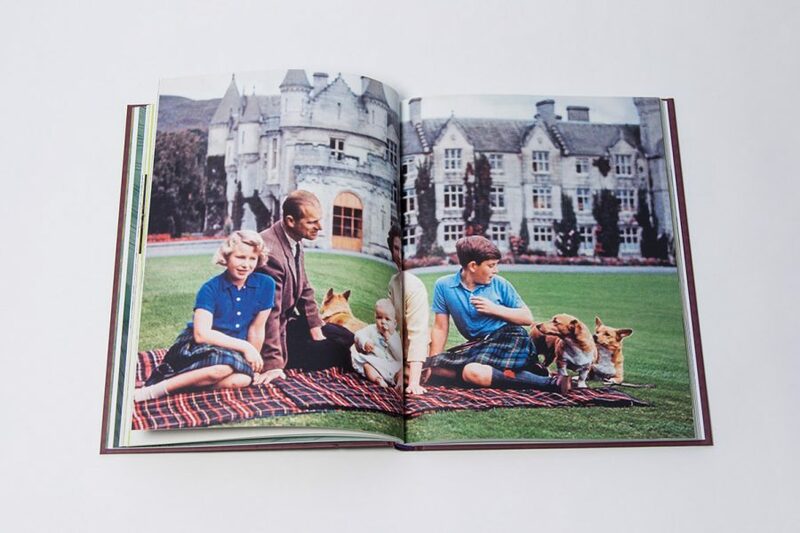 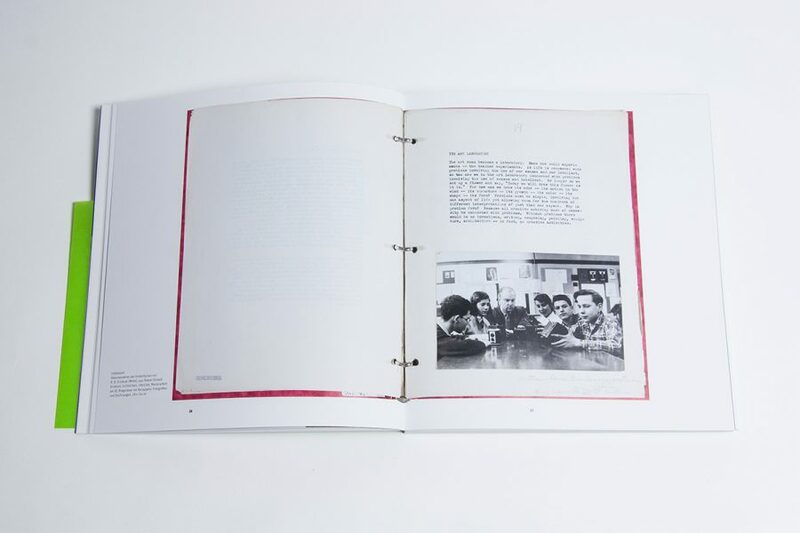 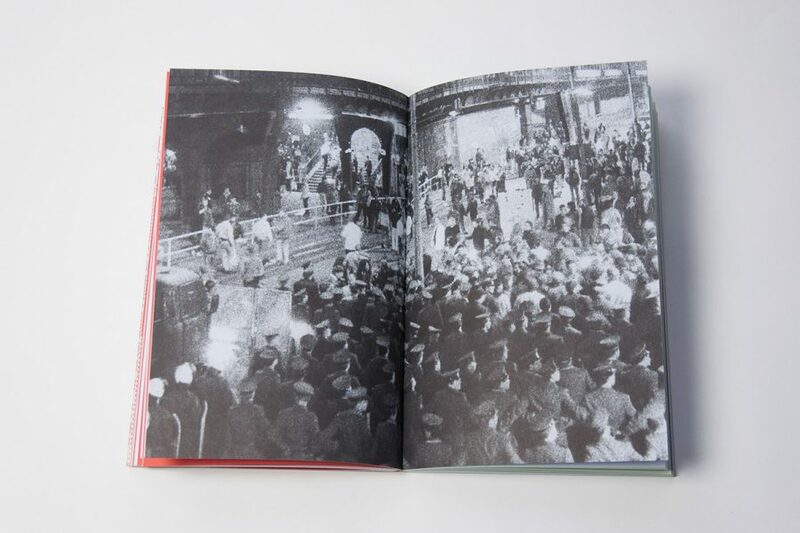 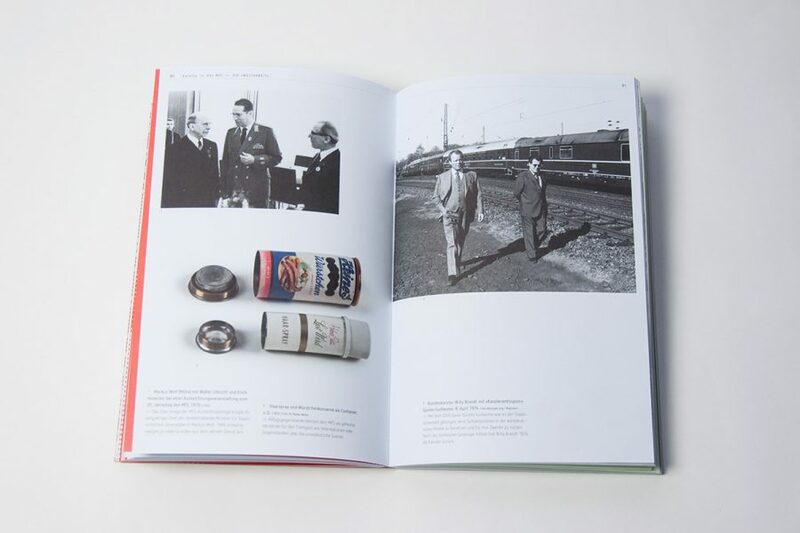 The catalogues contain many previously unpublished photographs. 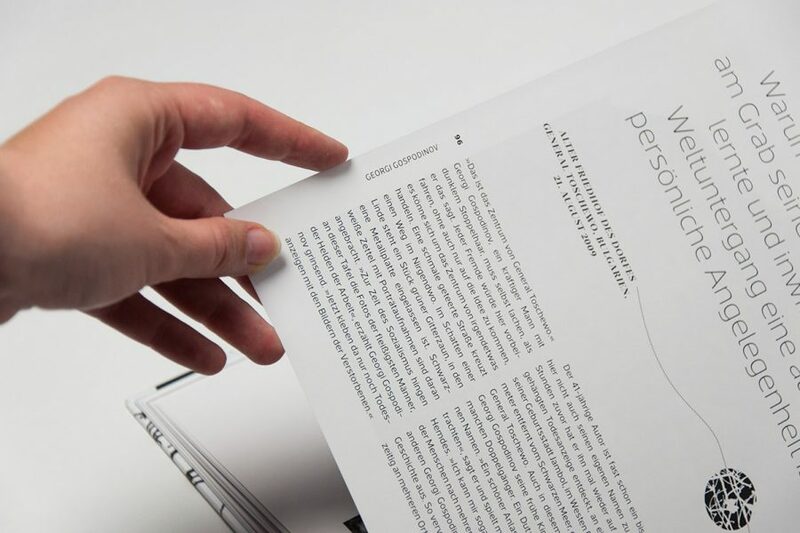 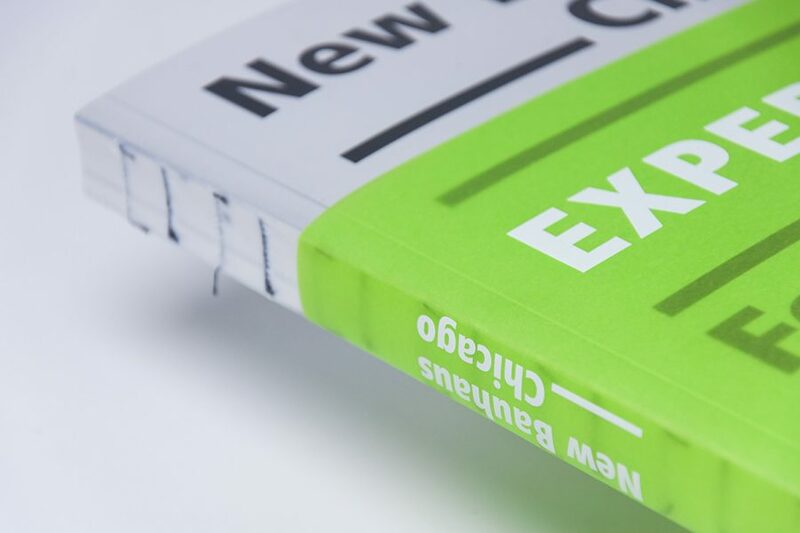 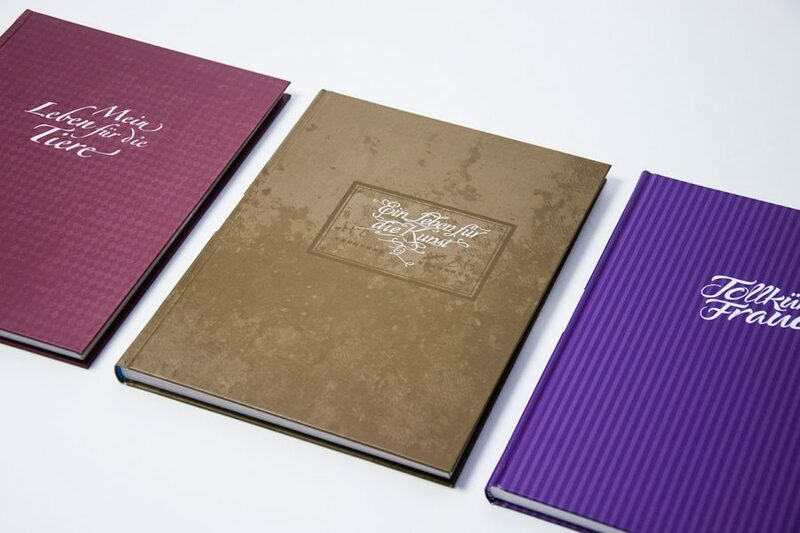 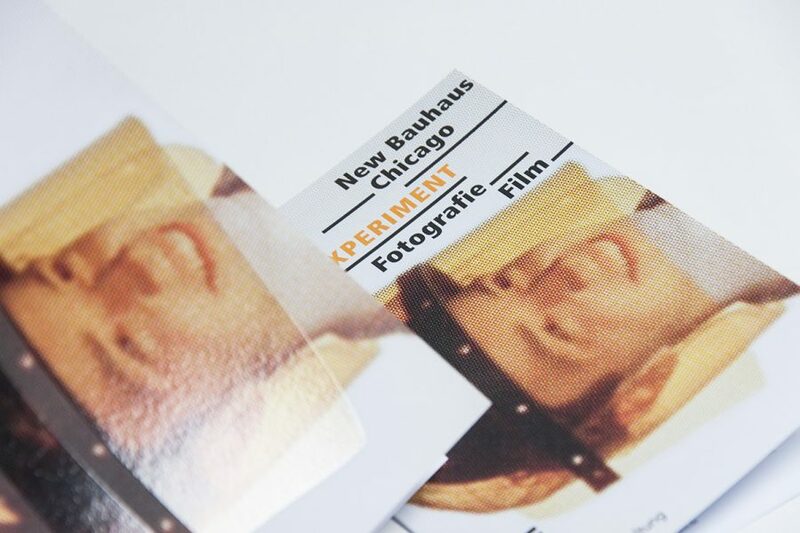 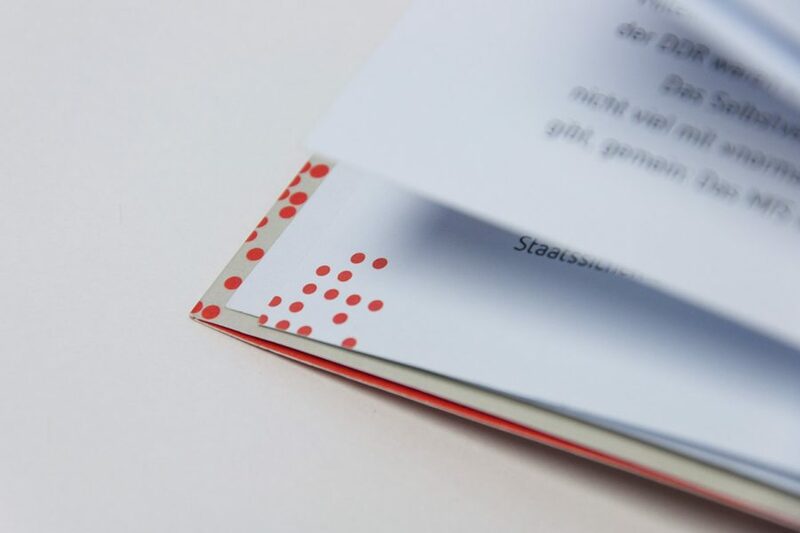 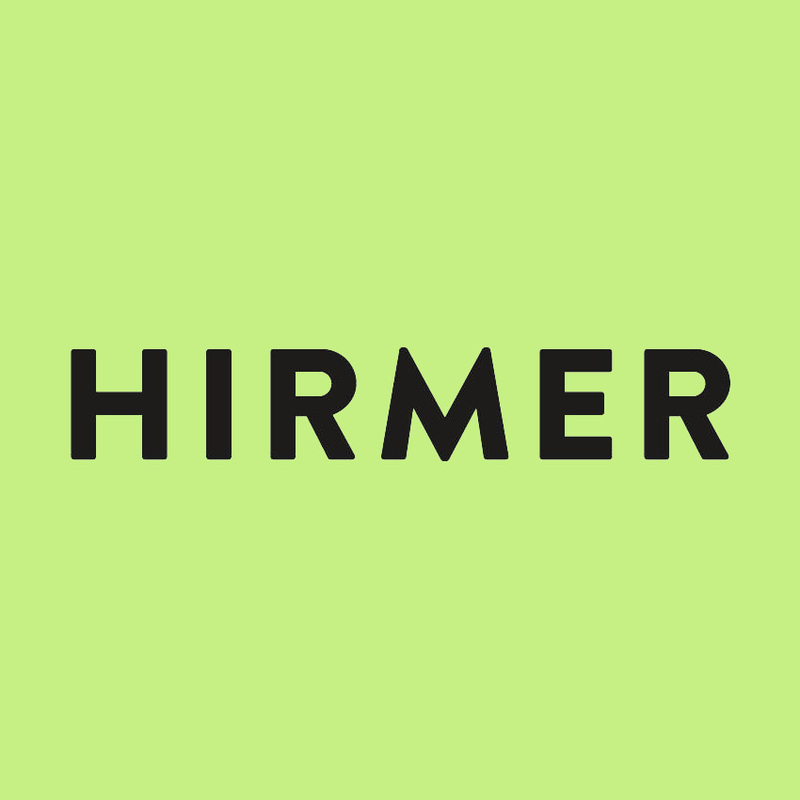 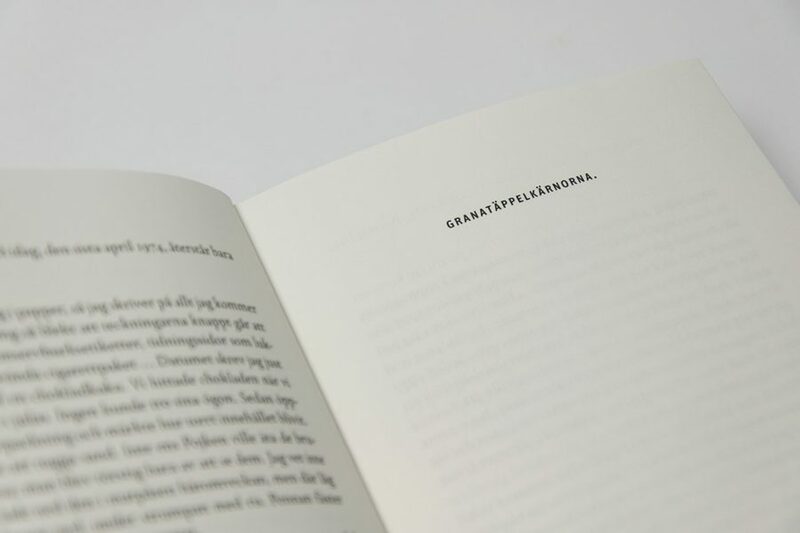 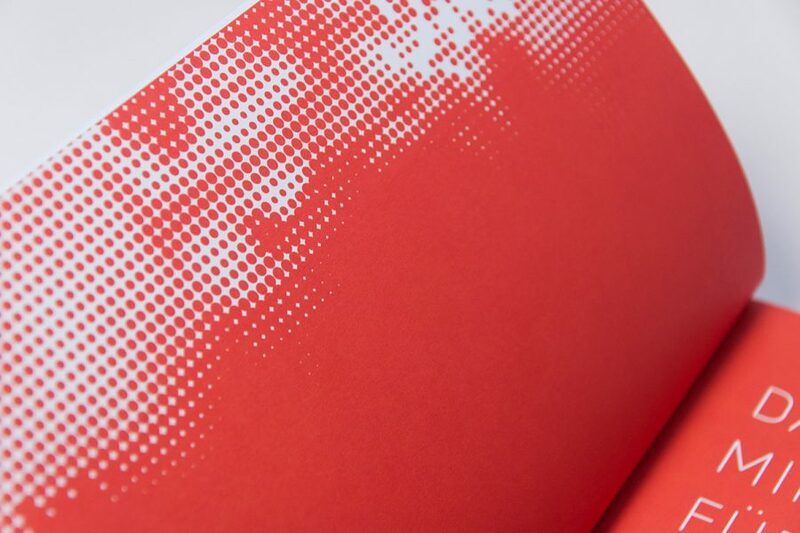 gewerkdesign was granted plenty of artistic freedom for the design, with only the format and type of paper set in advance. 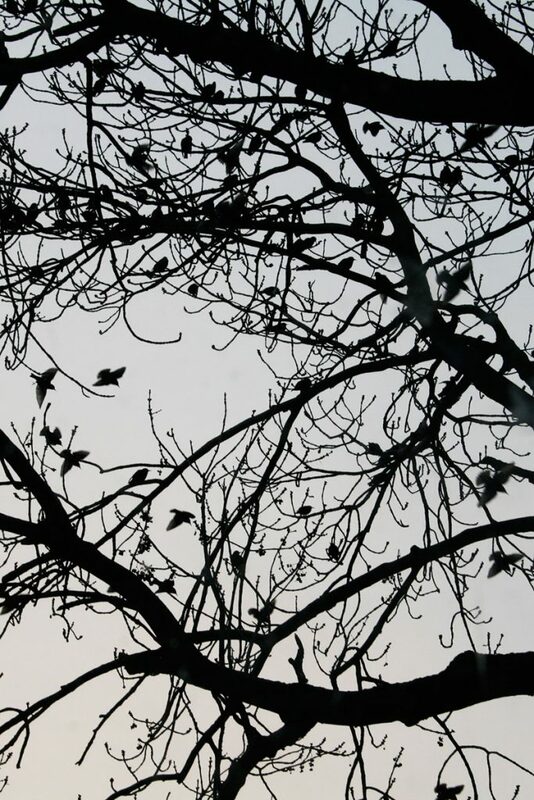 Life and death. 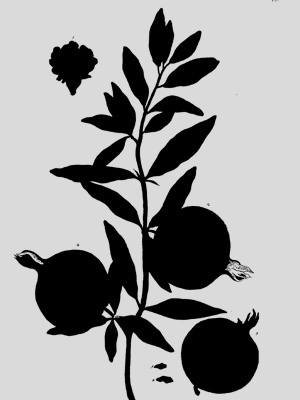 Friend and foe. 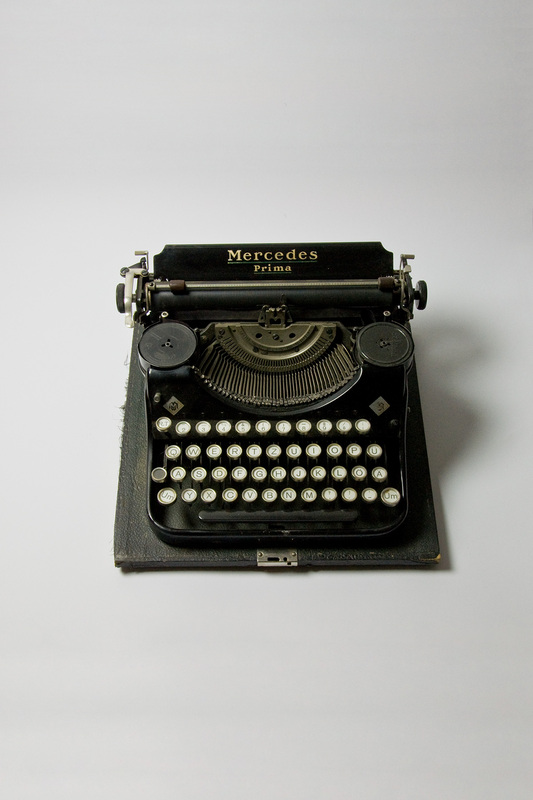 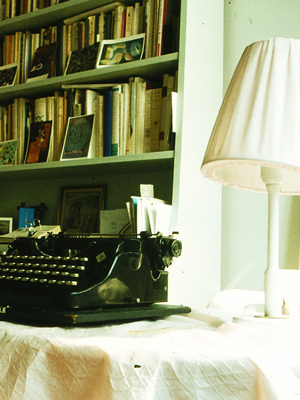 Famous writers elaborate on these topics. 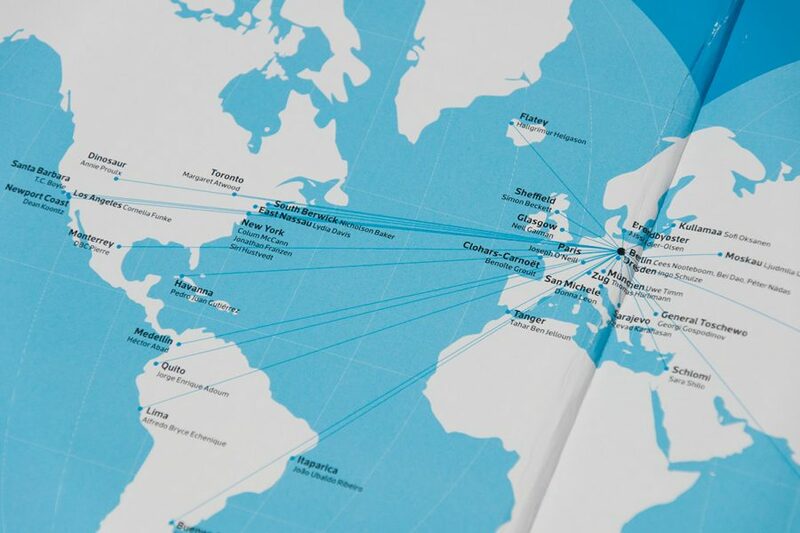 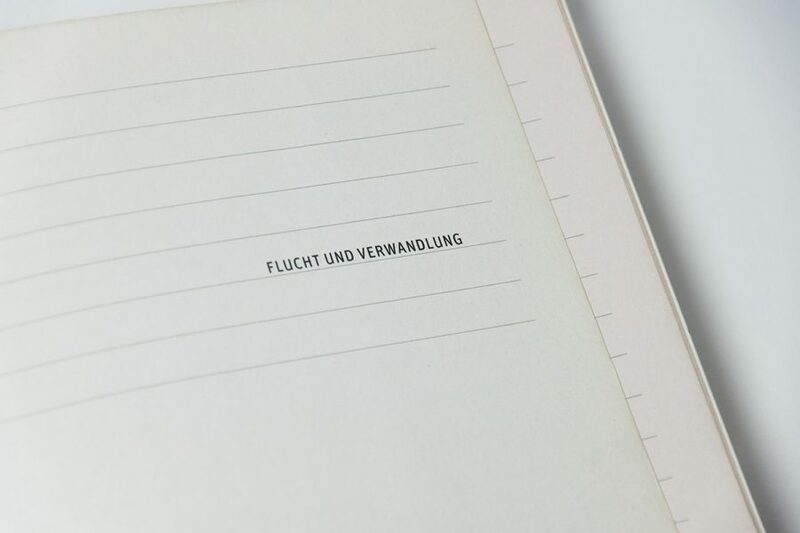 For this book project, the journalist Tobias Wenzel travelled to 39 exotic and unexpected places. 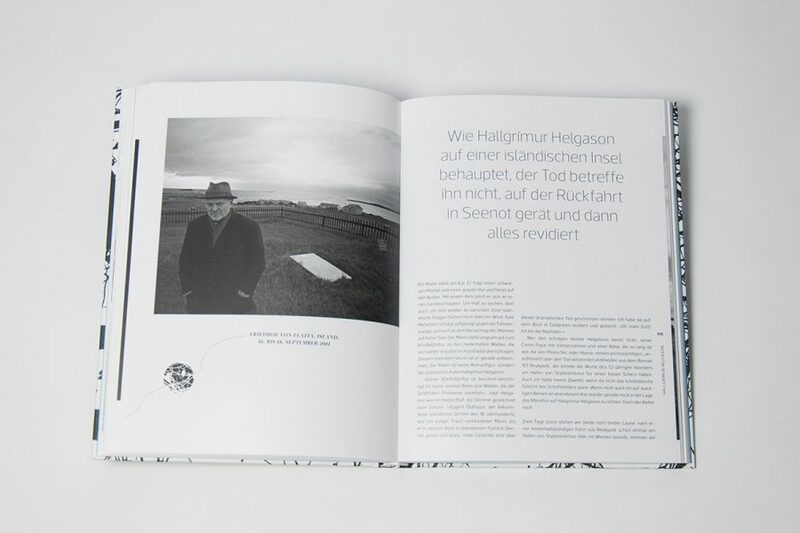 In front of the sometimes majestic, sometimes scary scenery he talked with famous authors about life and death. 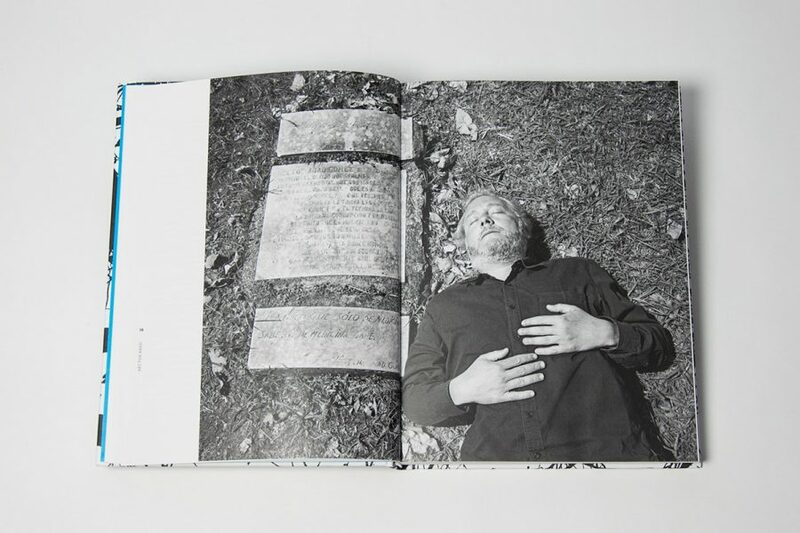 These vastly different encounters with authors like Jonathan Franzen, Annie Proulx, Hallgrímur Helgason, Jussi Adler-Olsen or DBC Pierre were combined with Wenzel’s large black-and-white photographs in a elaborately designed book. 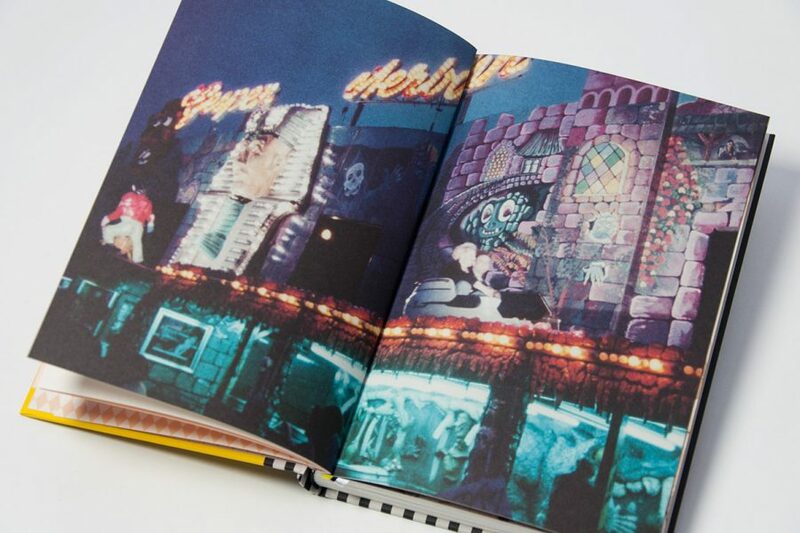 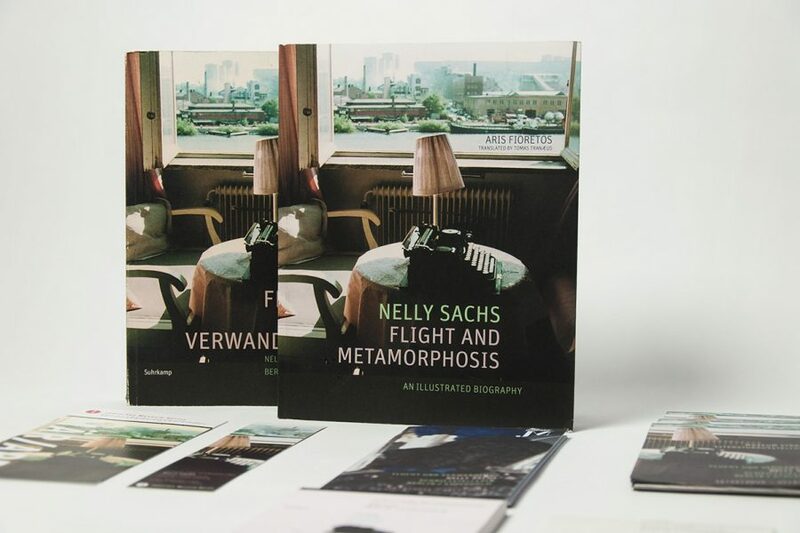 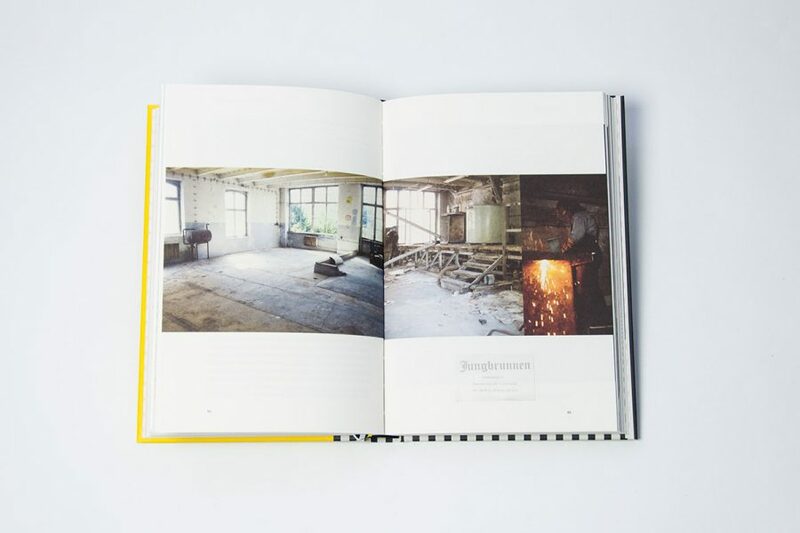 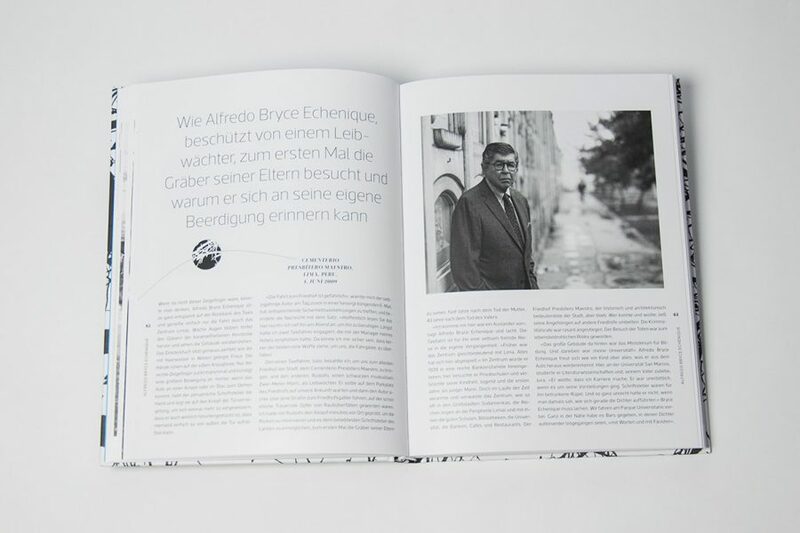 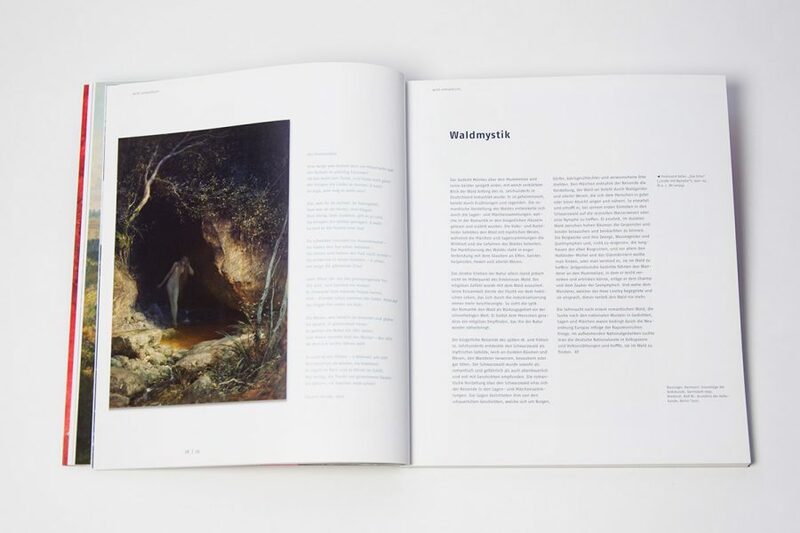 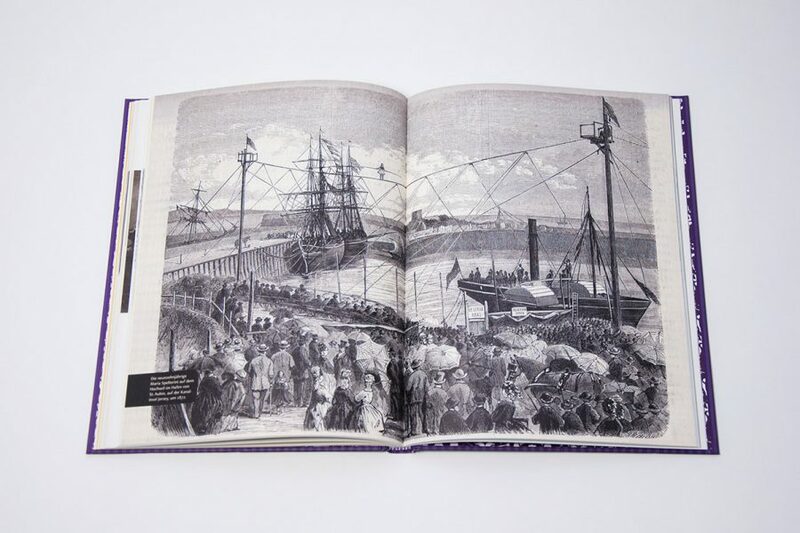 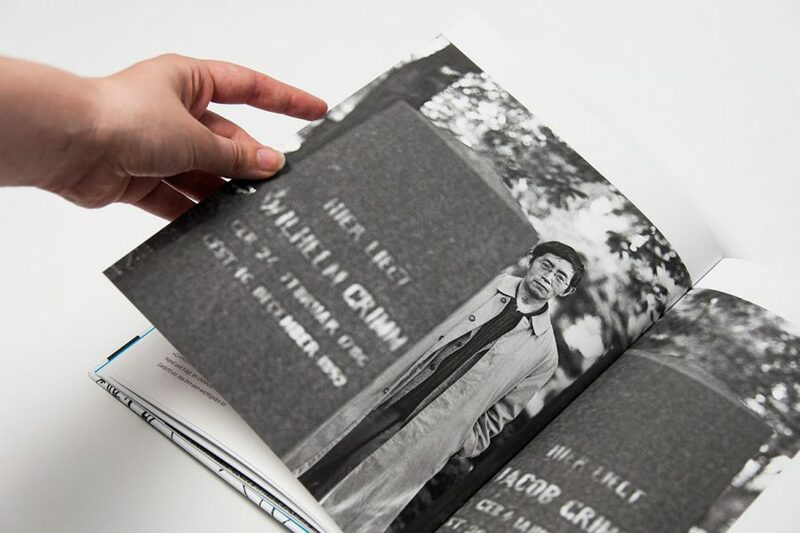 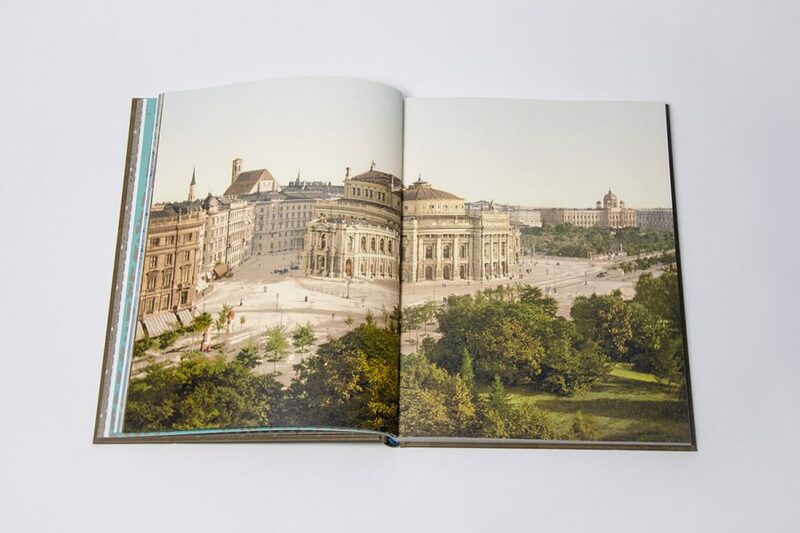 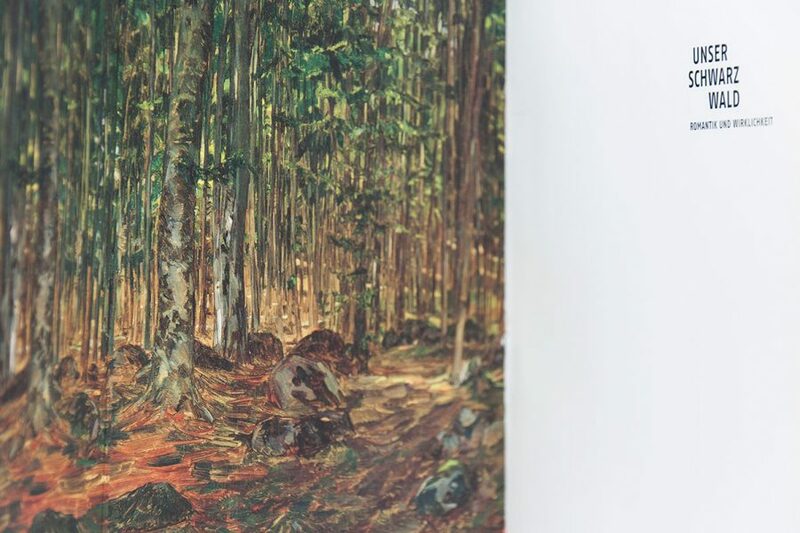 The book was published to accompany an exhibition of Wenzel’s photographs at the Rostock Art Exhibition Hall and the Museum for Sepulchral Culture in Kassel. 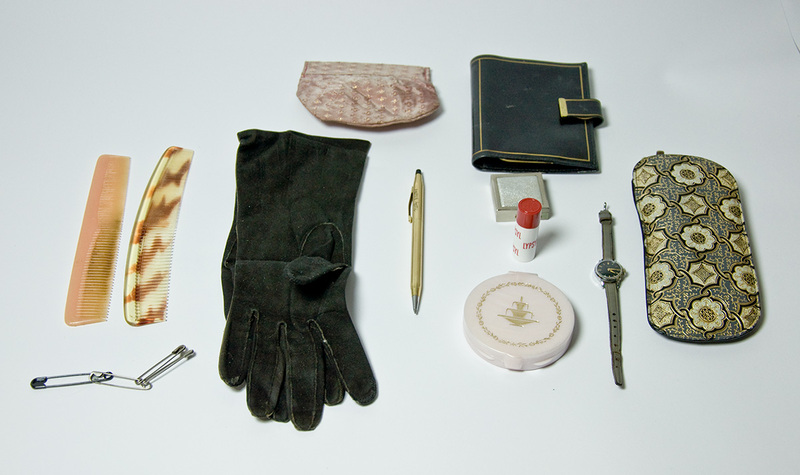 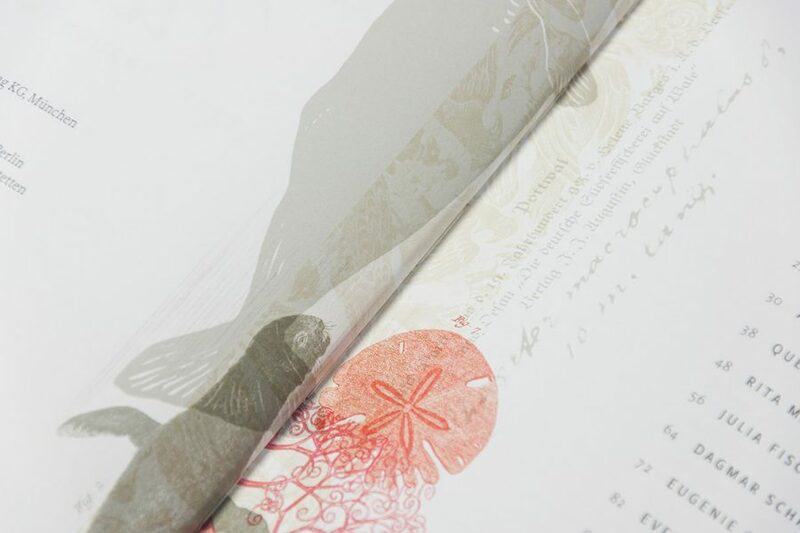 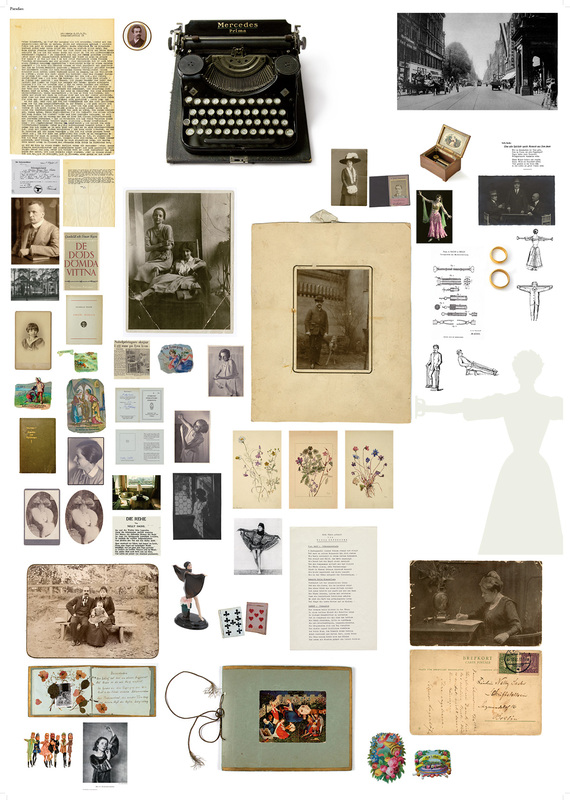 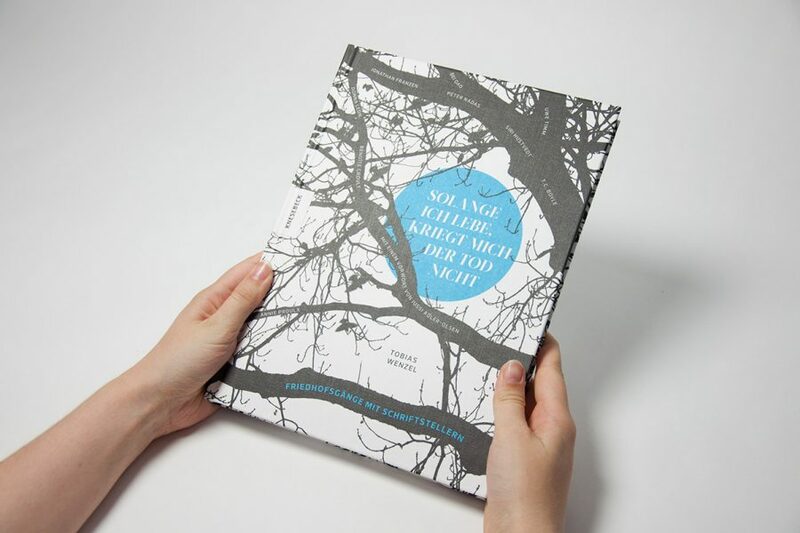 In the form of personal narratives, Eva Sichelschmidts’s biography »Allure of the Feather. 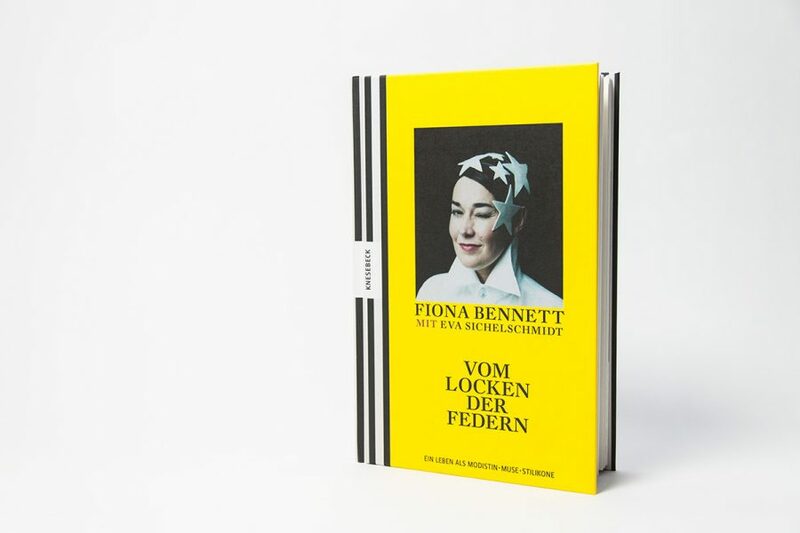 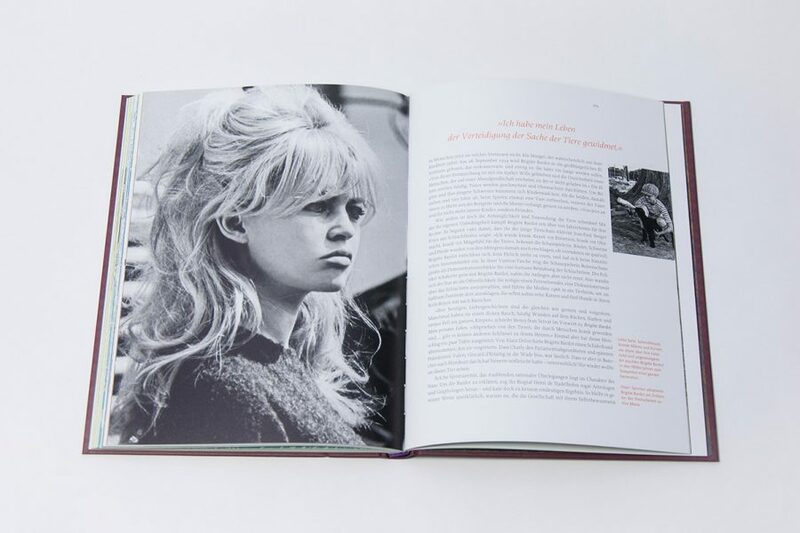 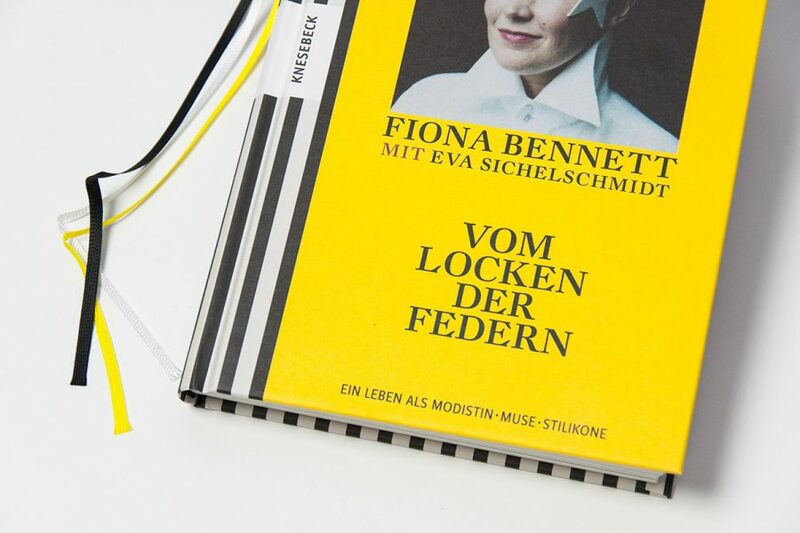 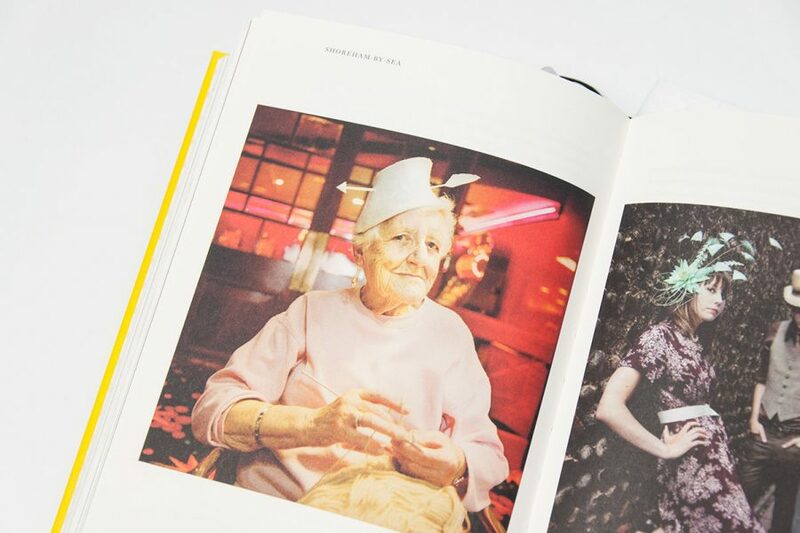 A Life as a Fashionista, Muse, Style Icon« gives an account of the hat designer Fiona Bennett’s unconventional lifestyle in the midst of former West Berlin’s turbulent creative scene. 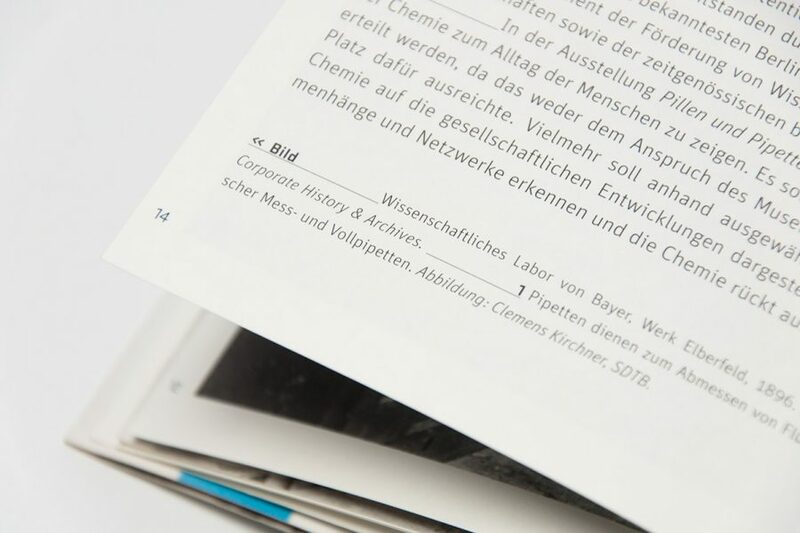 The book contains ca. 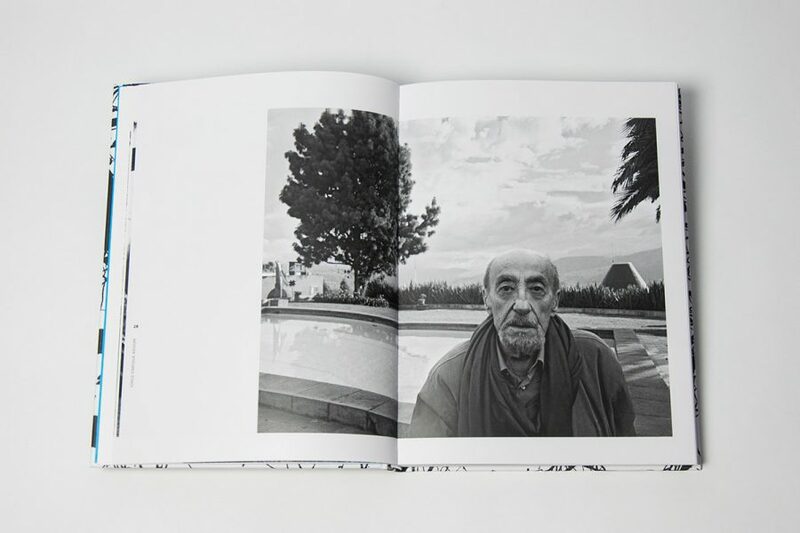 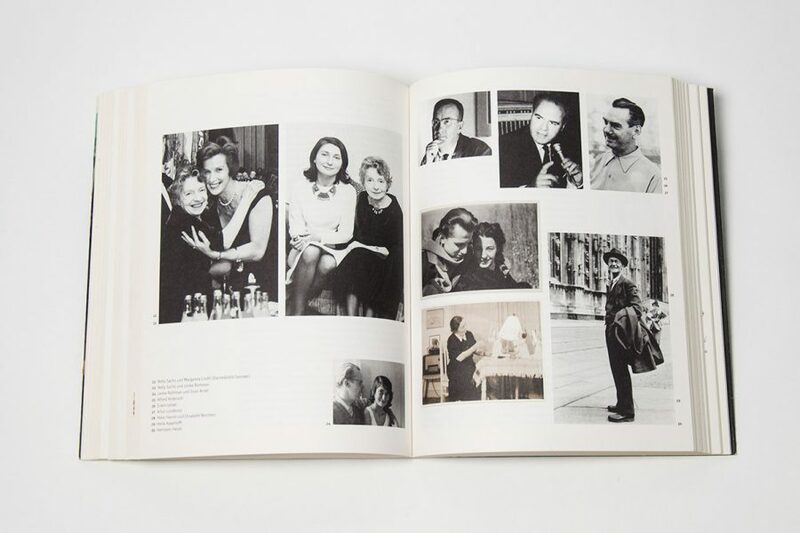 130 photographs, partly from Bennett’s personal archive and party taken for the book by famous photographers like Joachim Gern or Ulrike Schamoni. 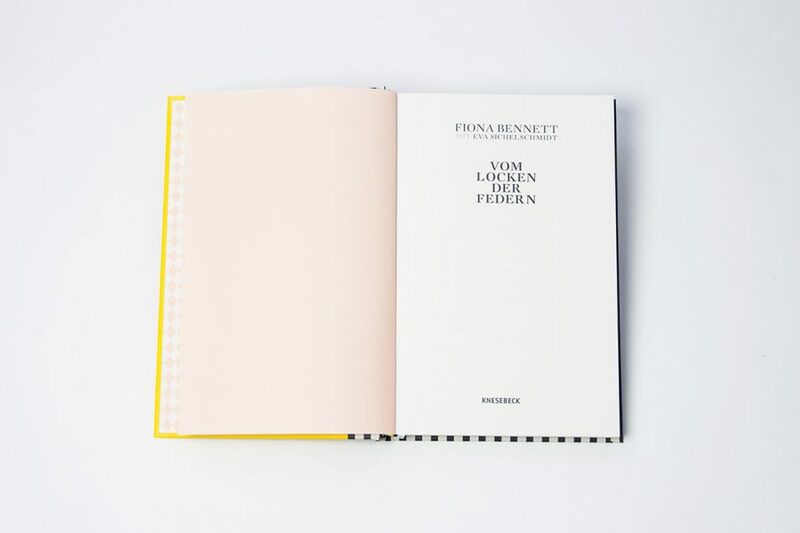 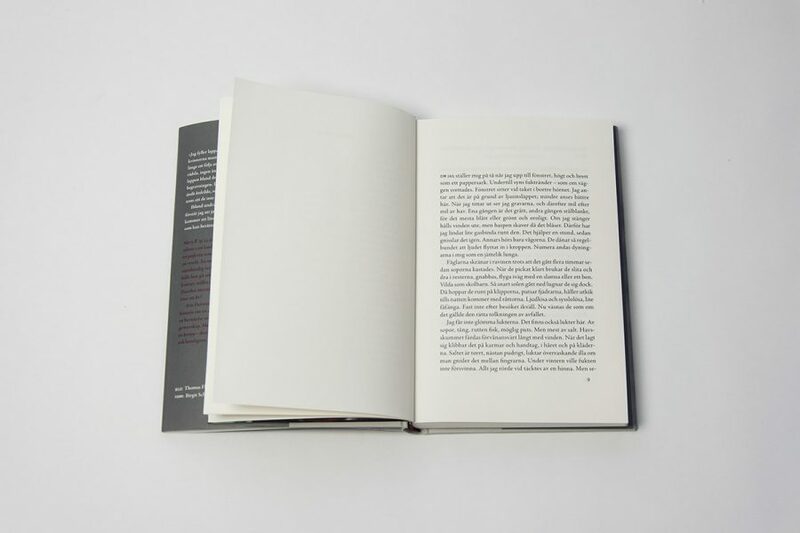 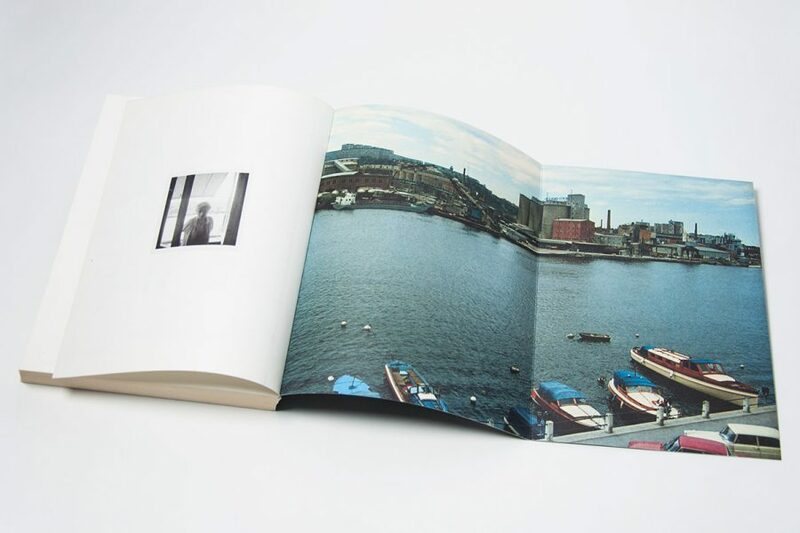 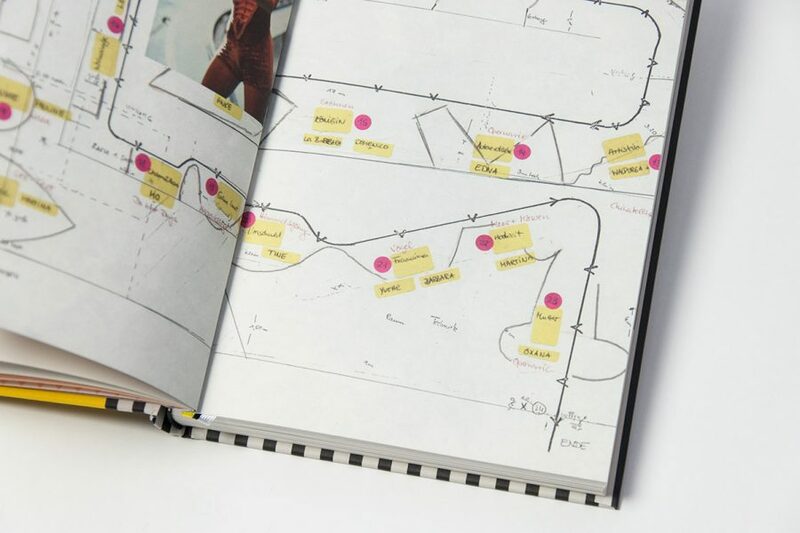 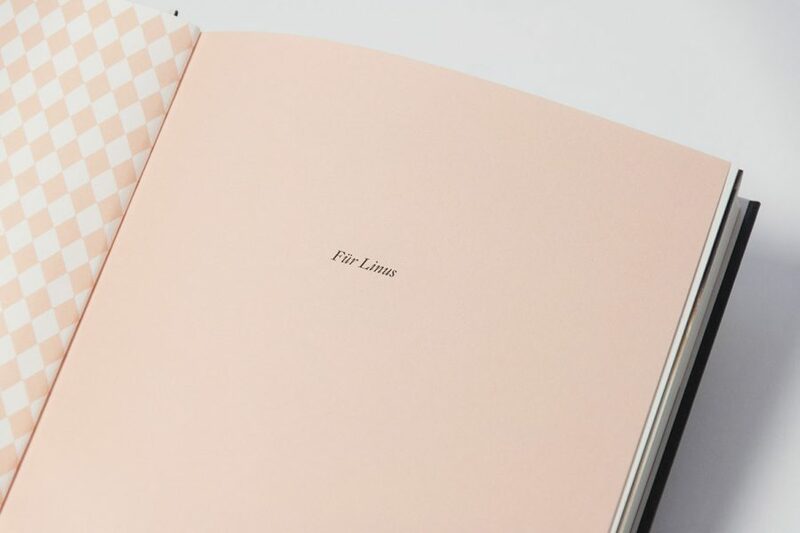 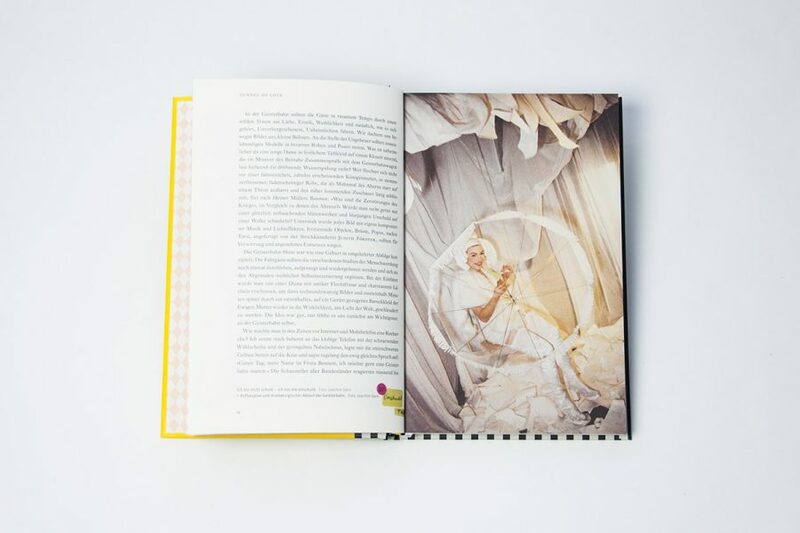 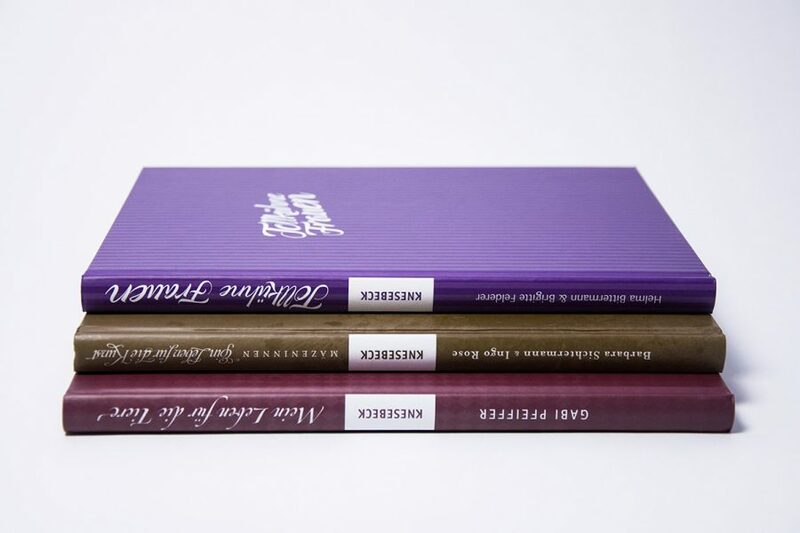 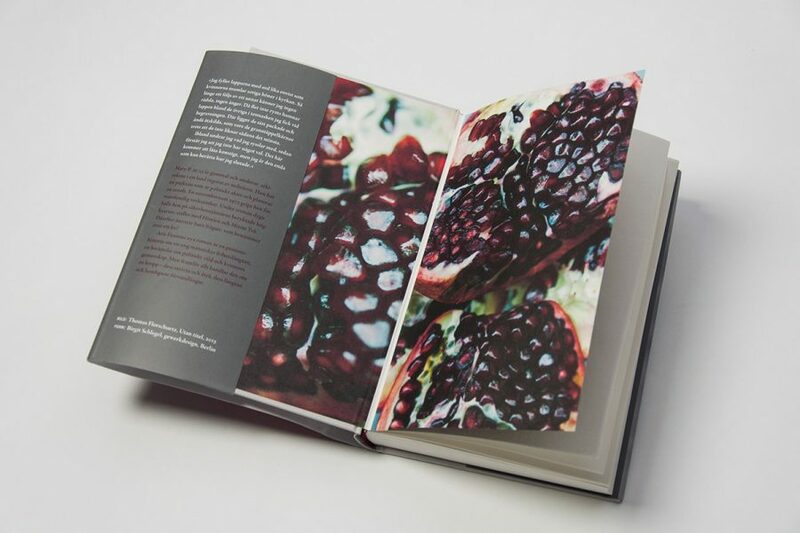 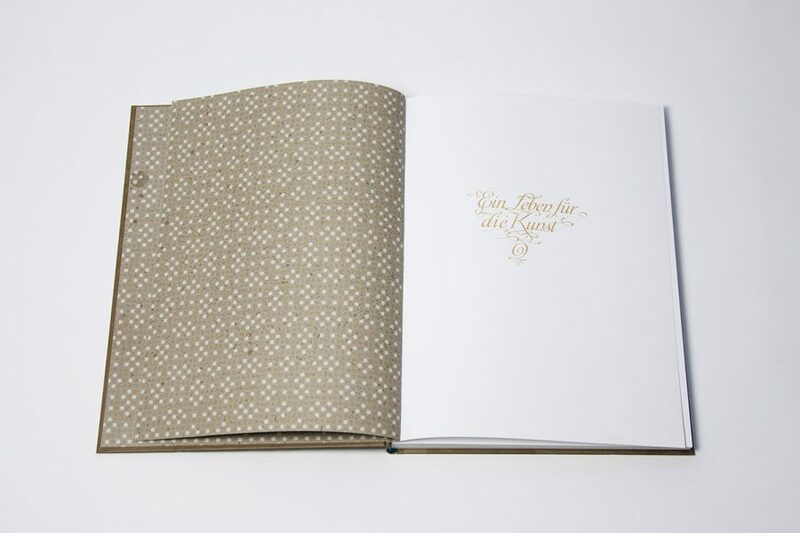 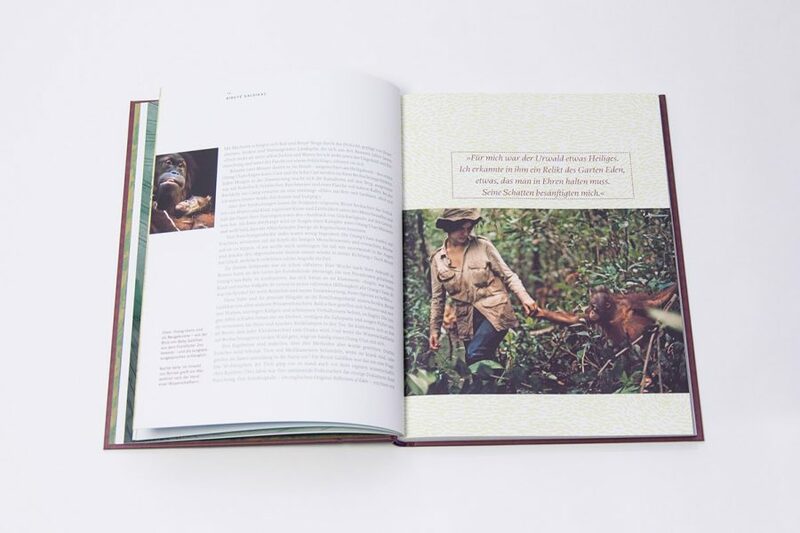 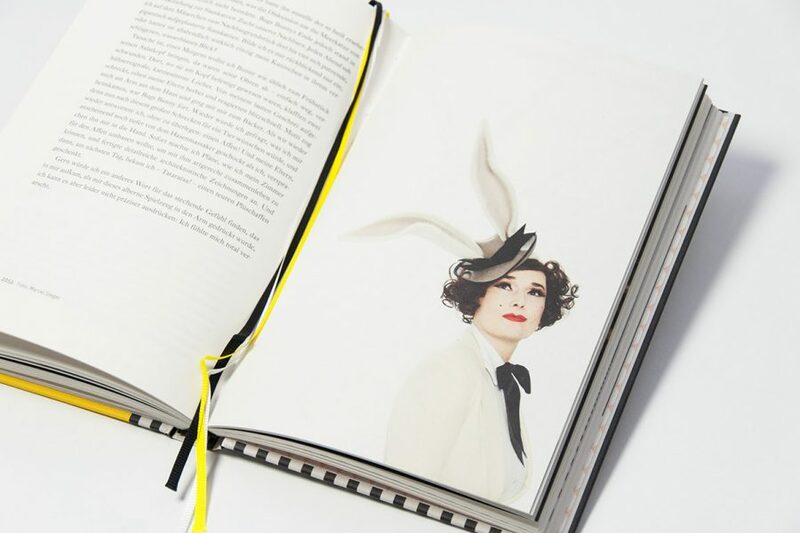 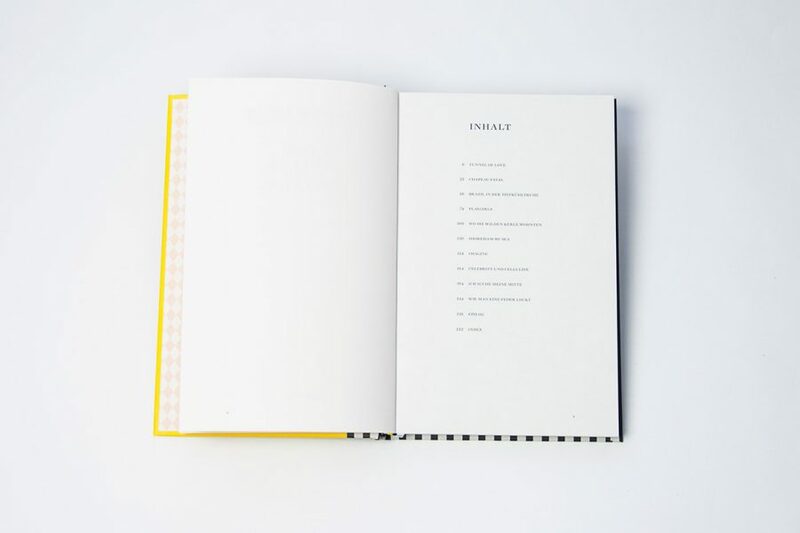 In spite of the many images, Fiona Bennett preferred a more modest book design in the style of a novel or diary to the elaborate style of a coffee-table book. 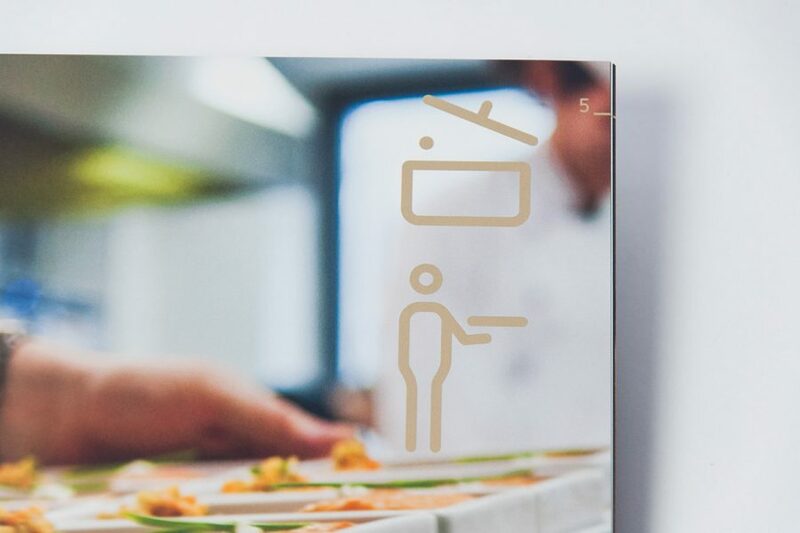 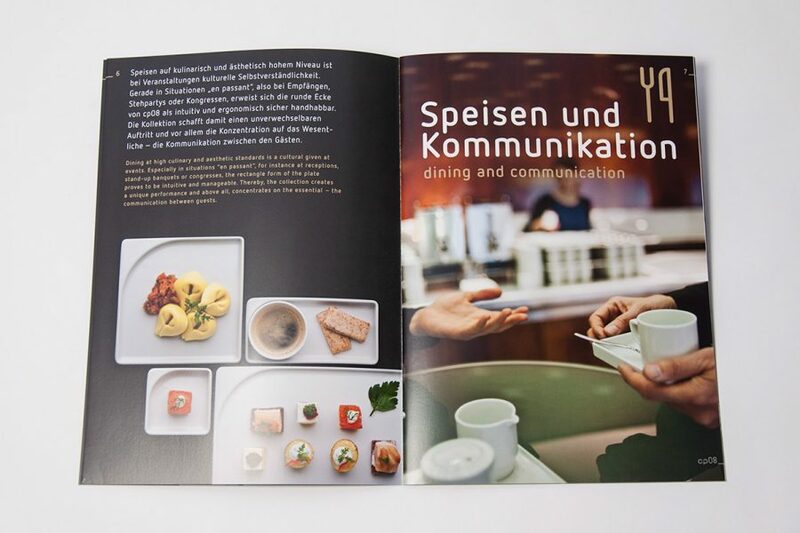 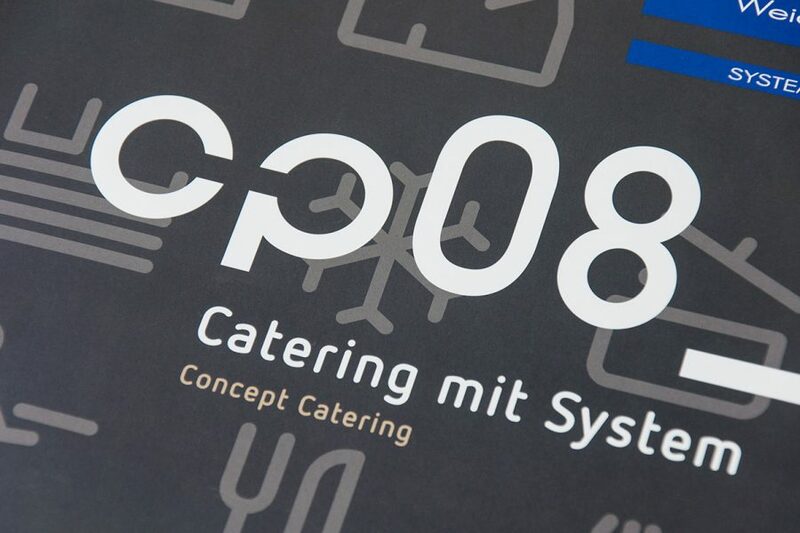 gewerkdesign’s creation of cp03 was initiated by the Berlin Congress Center bcc, who needed a functional, durable catering porcelain for hosting large events. 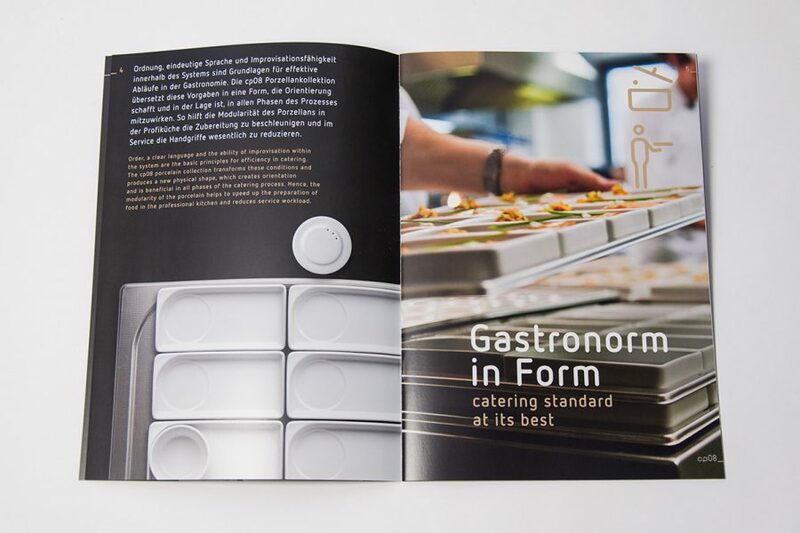 For creating the porcelain gewerkdesign first developed a metric system, that took into account the demands on gastronomy dishes during all phases of the catering process. 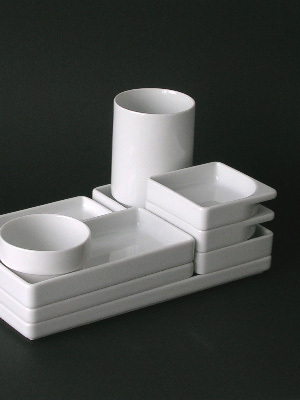 The congress center’s famous architecture from the 1960s also played a major roll in the porcelain’s design. 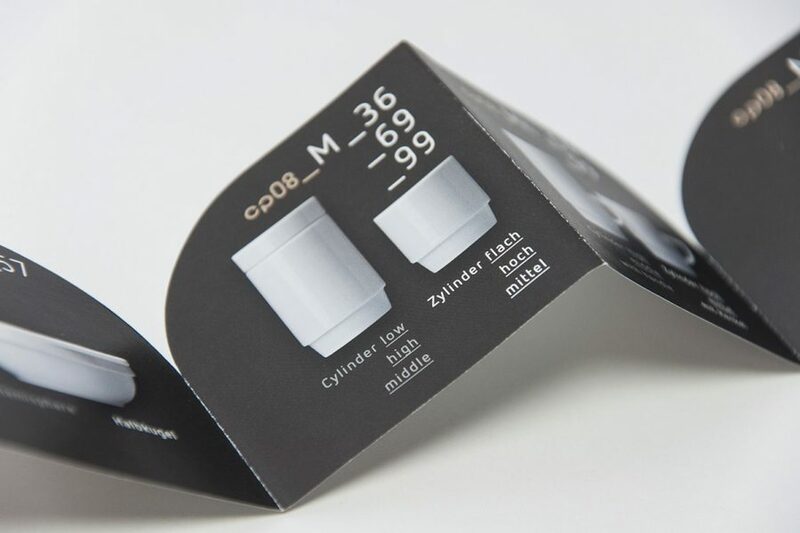 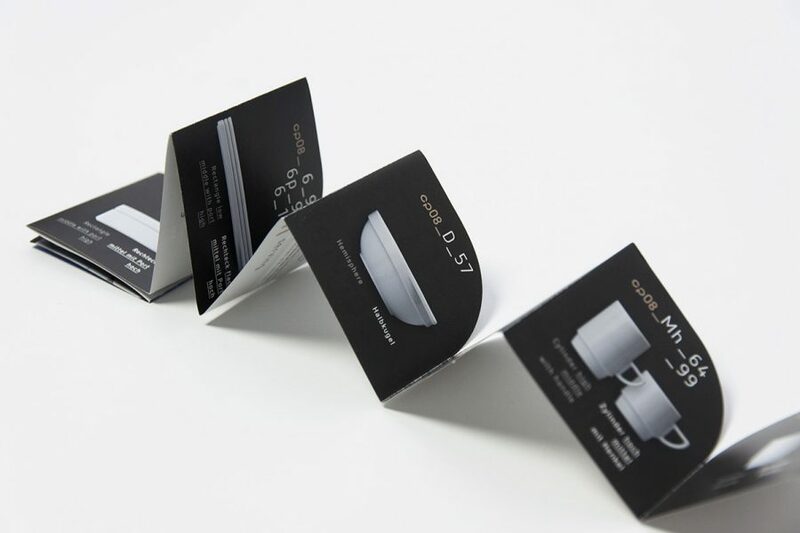 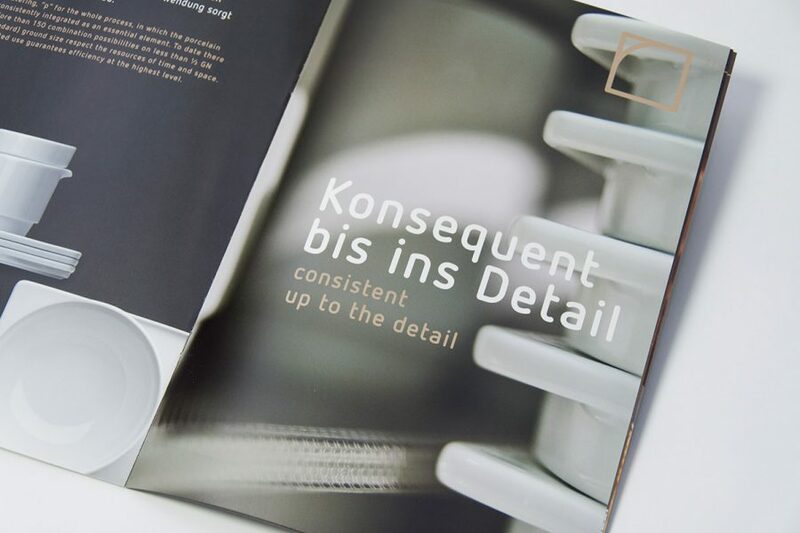 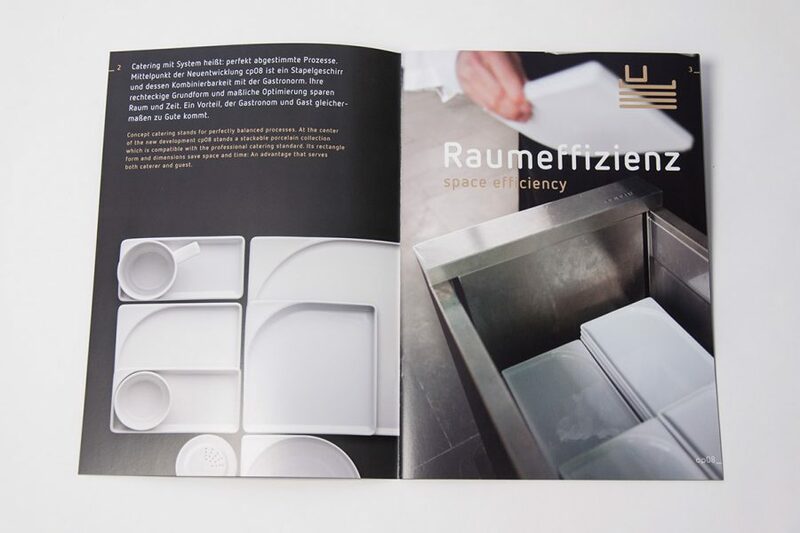 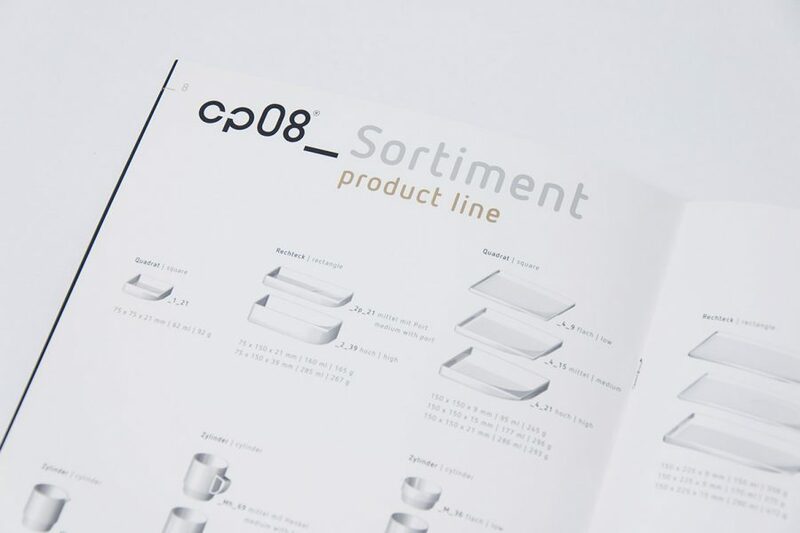 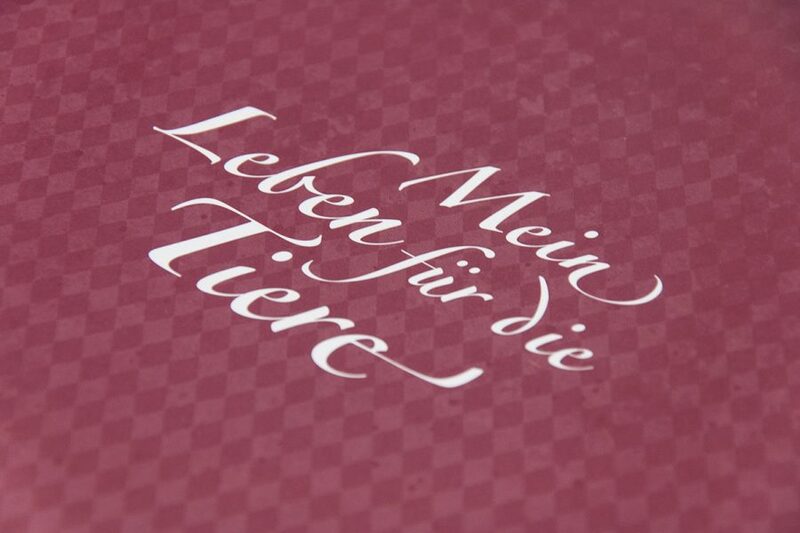 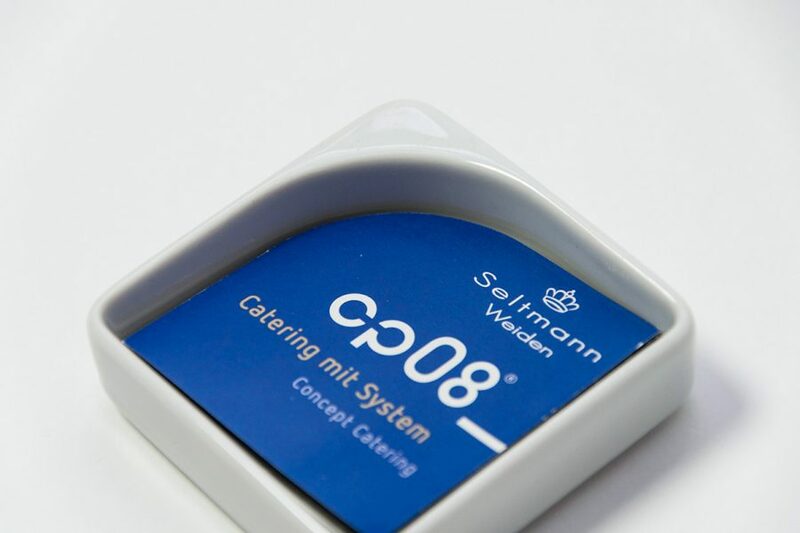 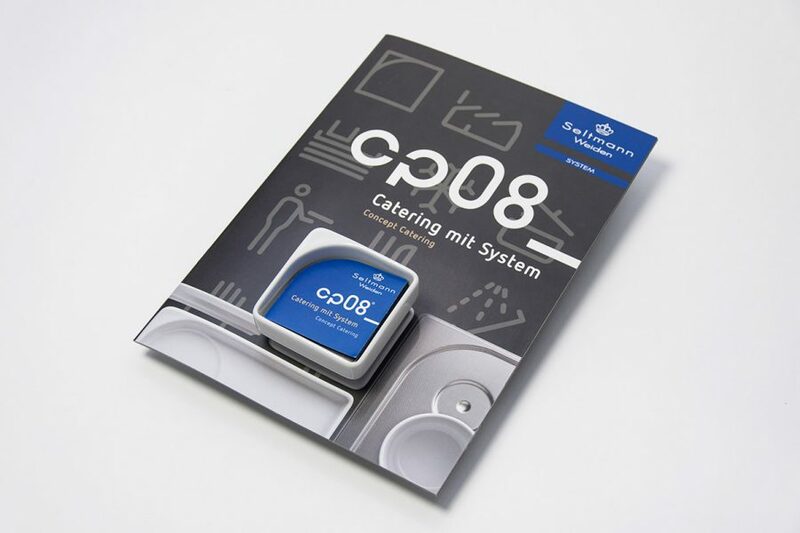 The licence for manufacturing cp08 was issued to the company Seltmann Weiden in 2011, who accompanied the rollout and presentation of the porcelain with a booklet created by gewerkdesign. 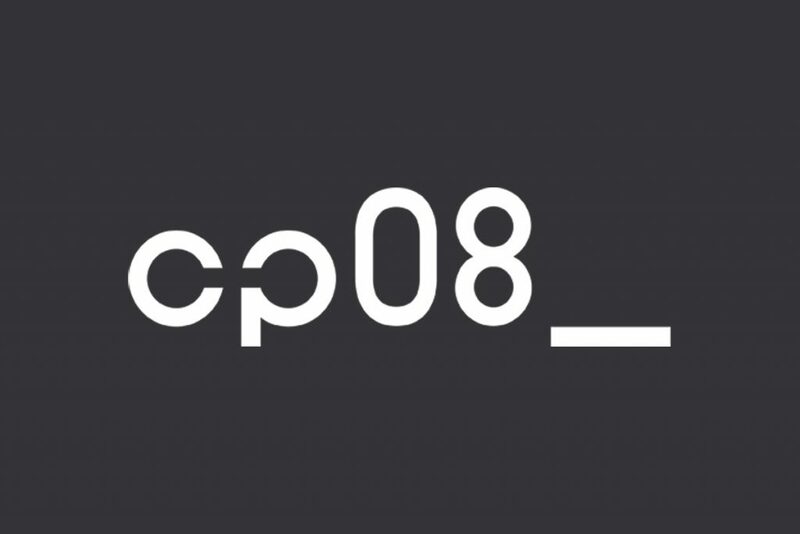 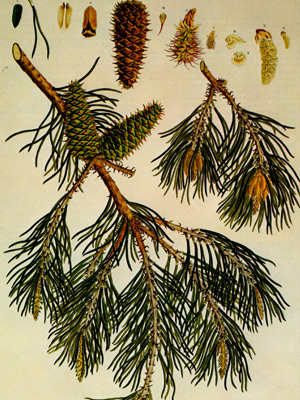 cp08 is a listed trademark of the of the bcc and gewerkdesign. 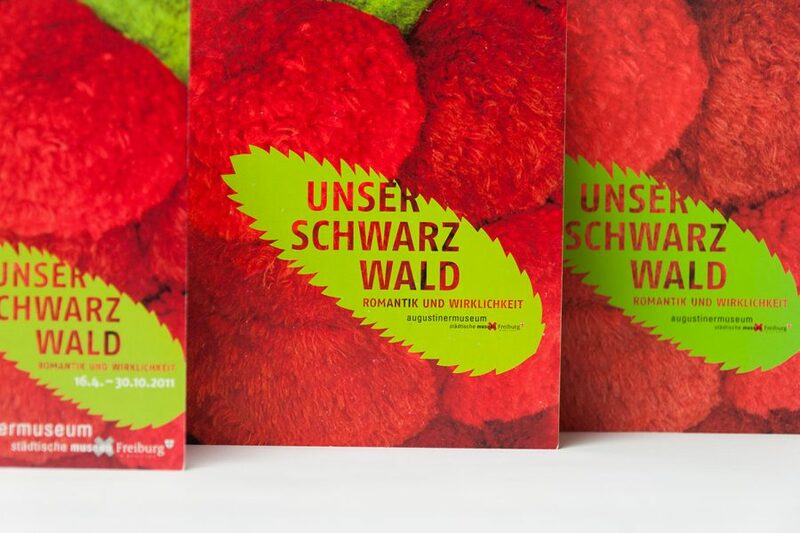 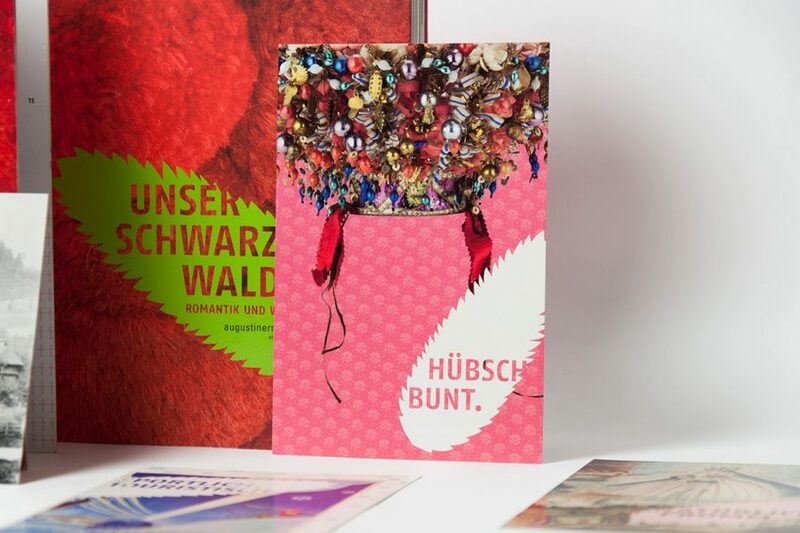 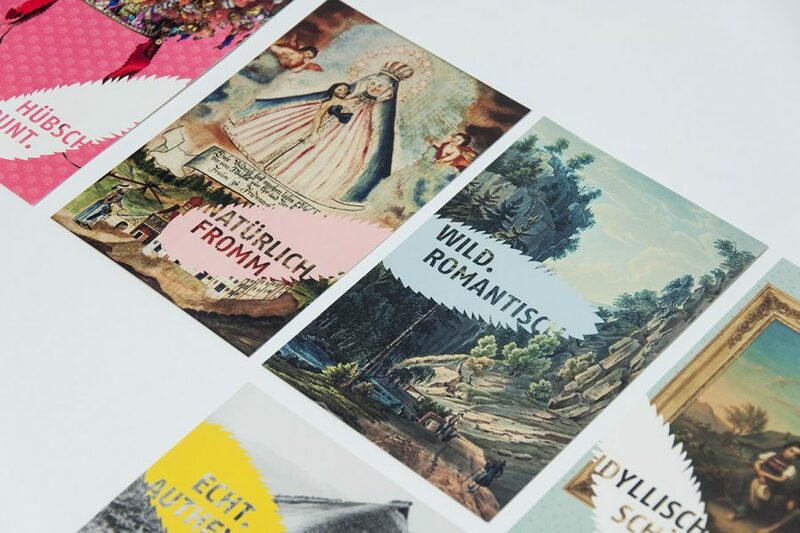 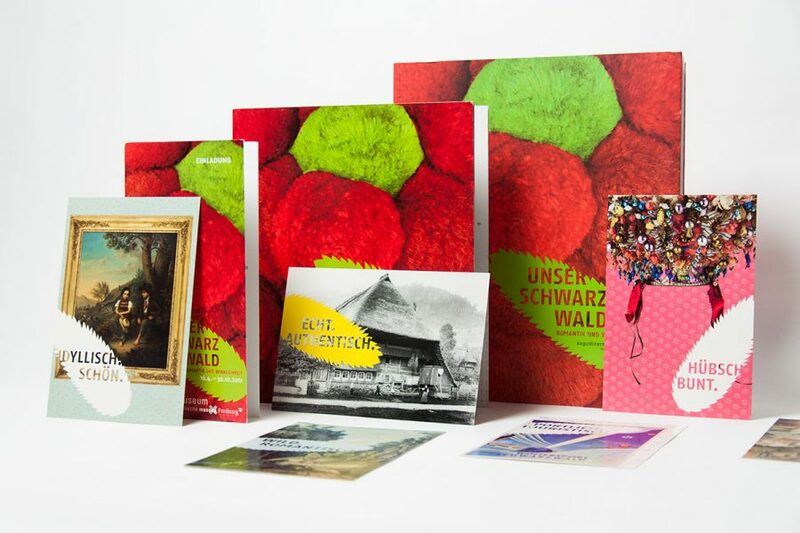 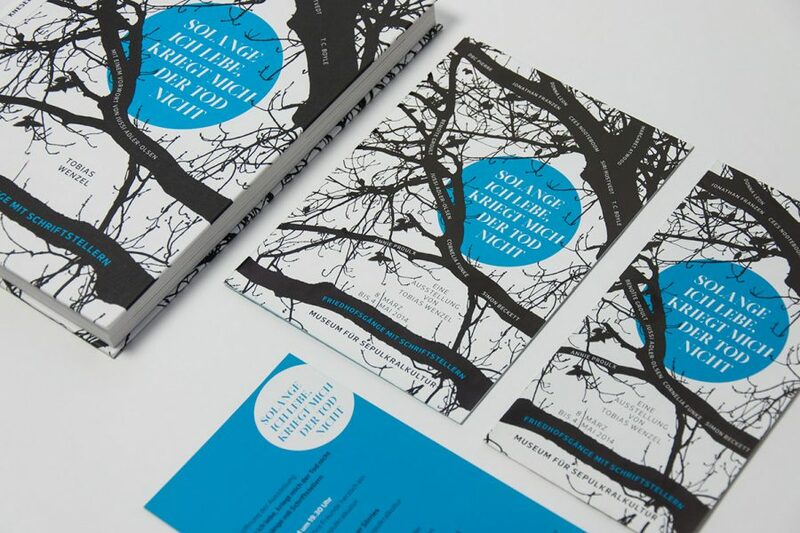 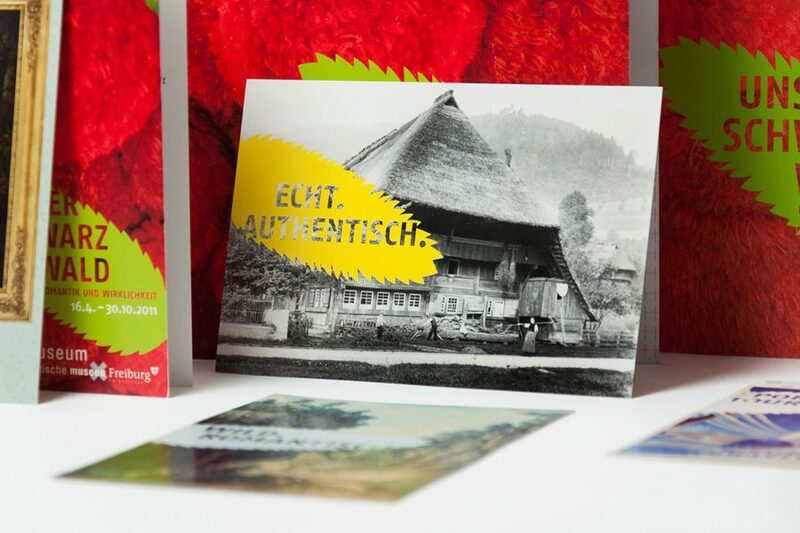 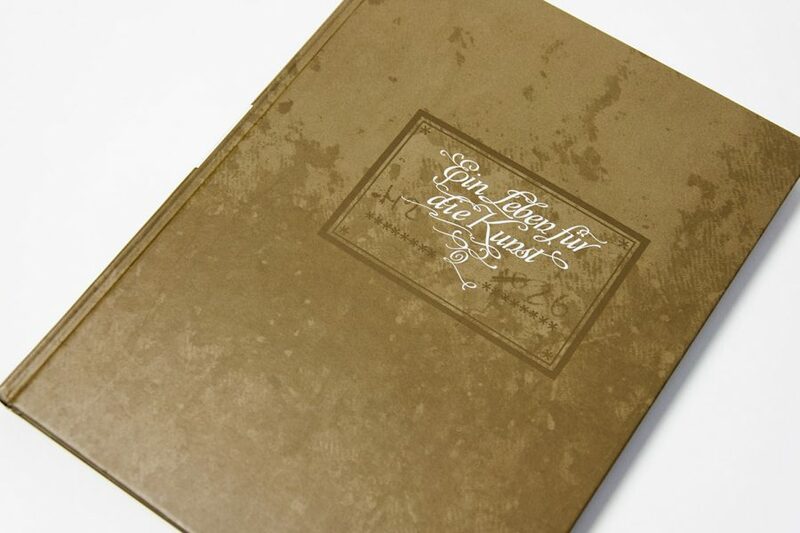 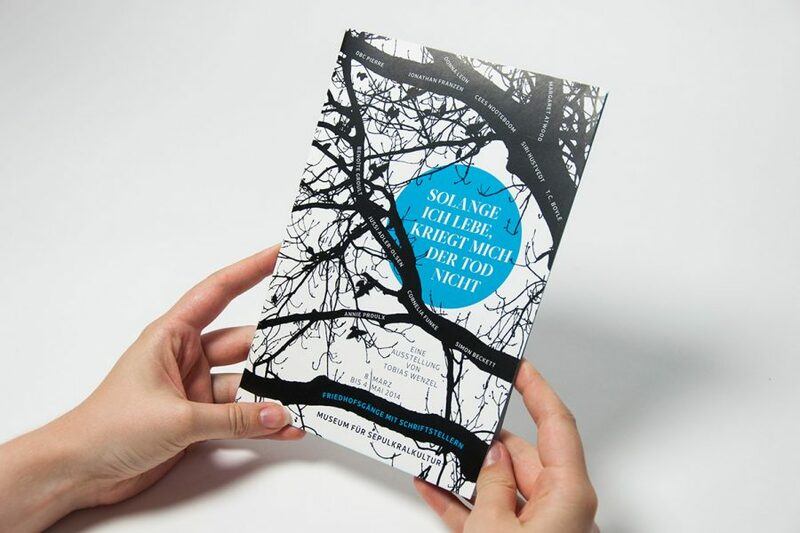 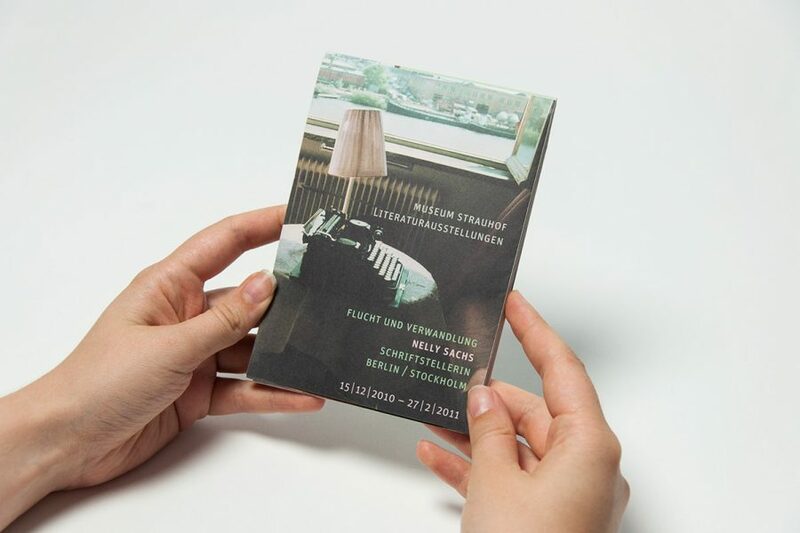 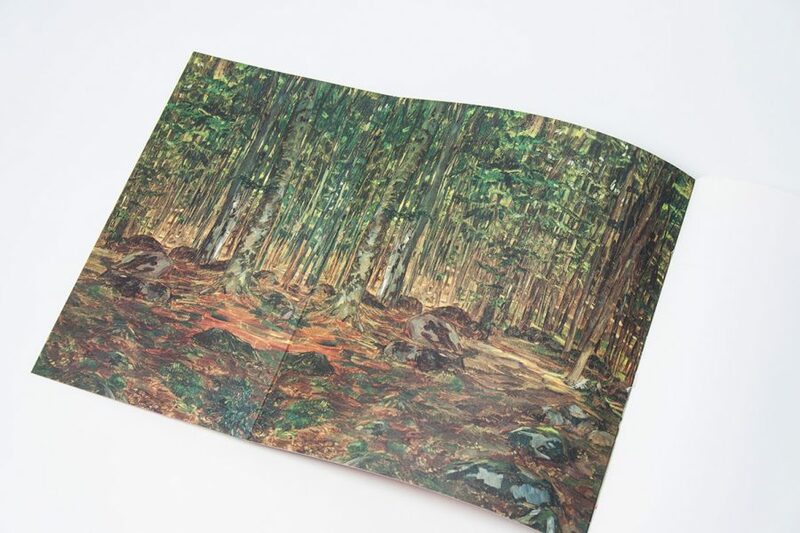 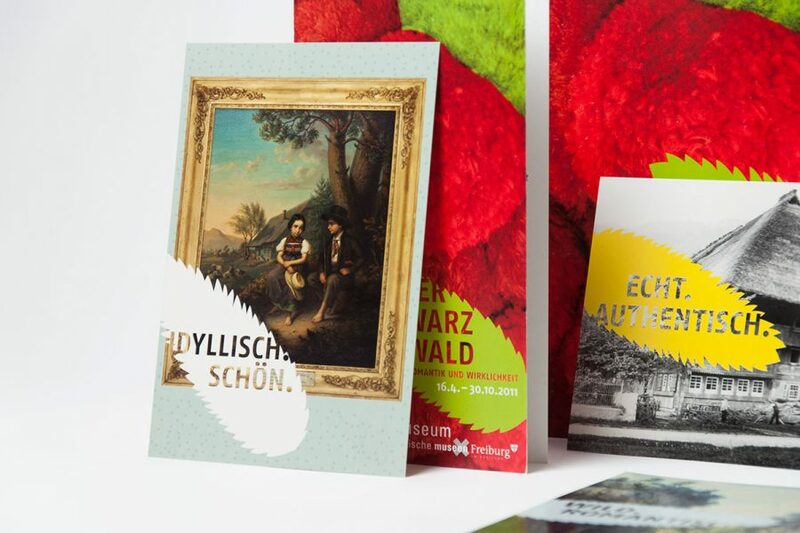 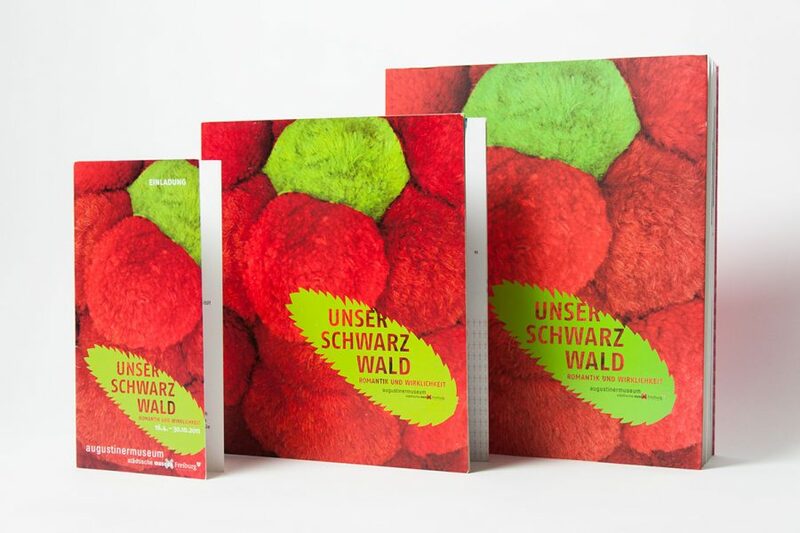 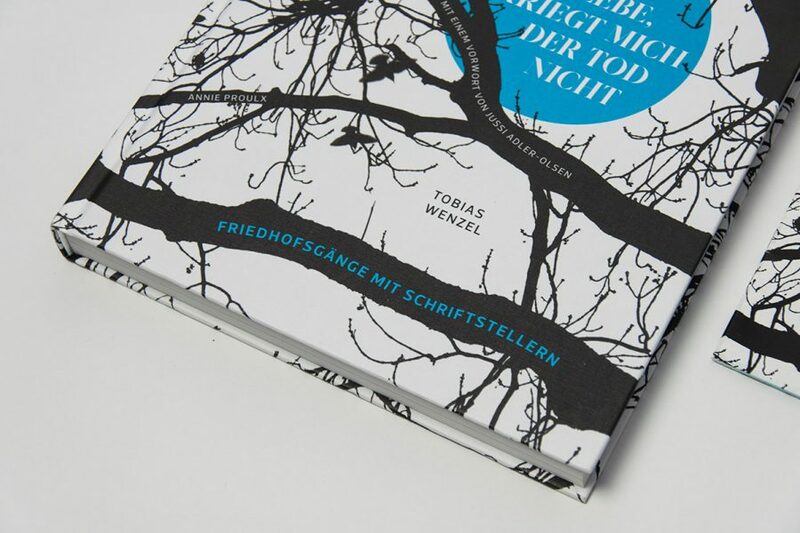 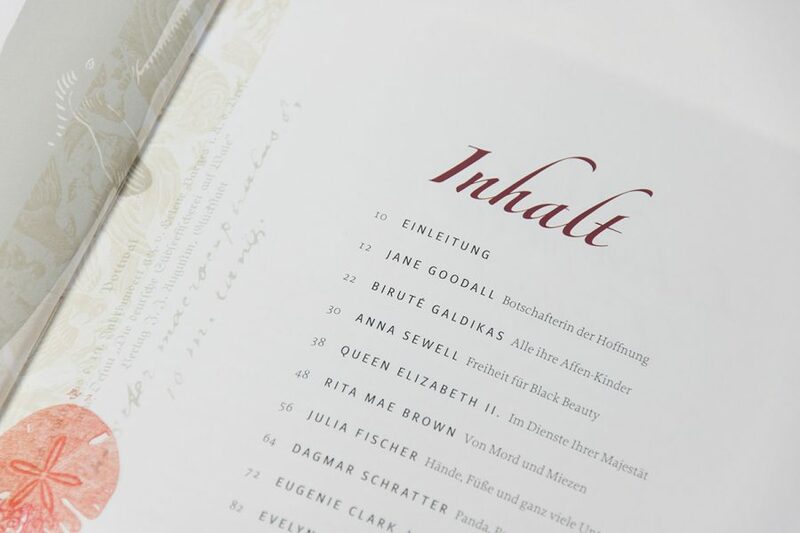 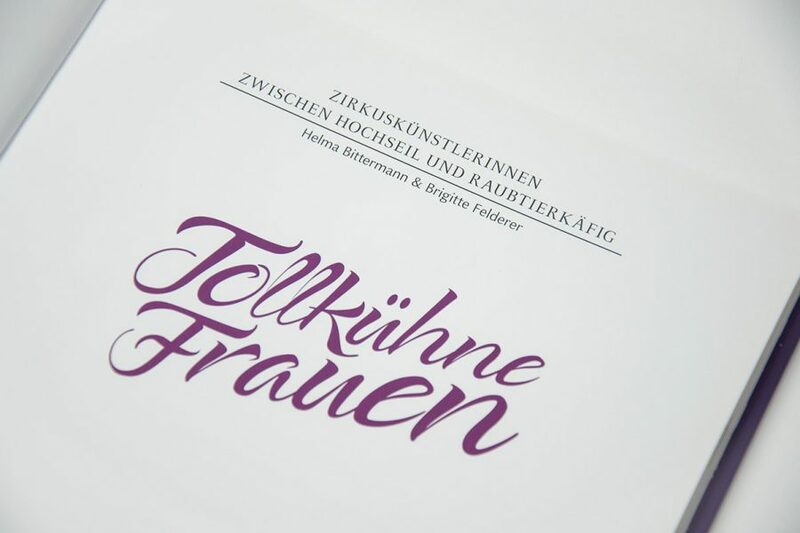 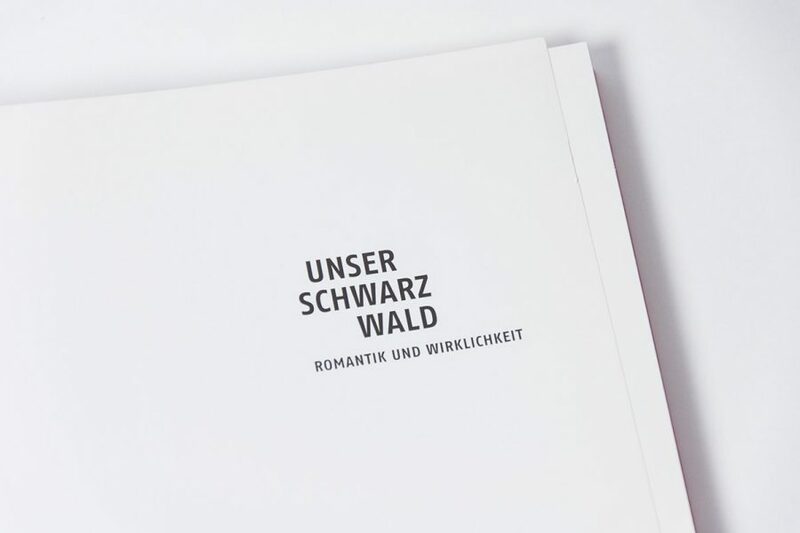 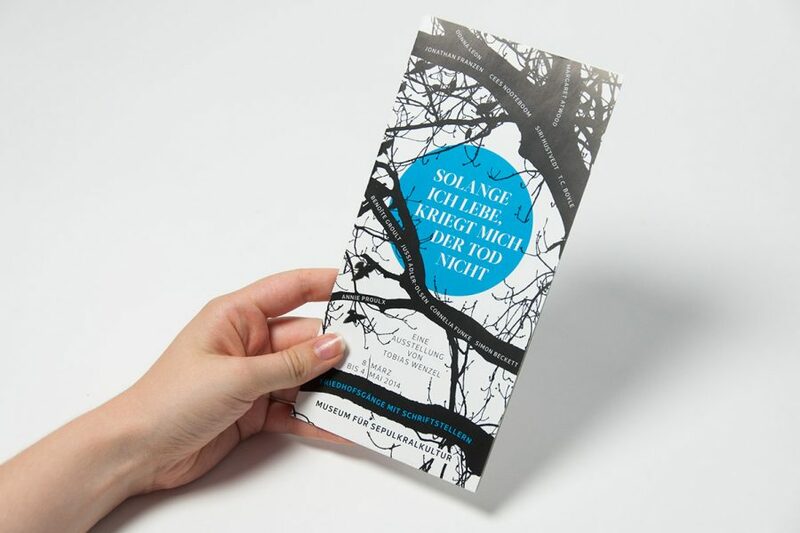 gewerkdesign created the catalogue’s cover, its basic layout and all printed materials for the special exhibition »Our Black Forest – Romanticism and Reality« at the Augustinermuseums in Freiburg. 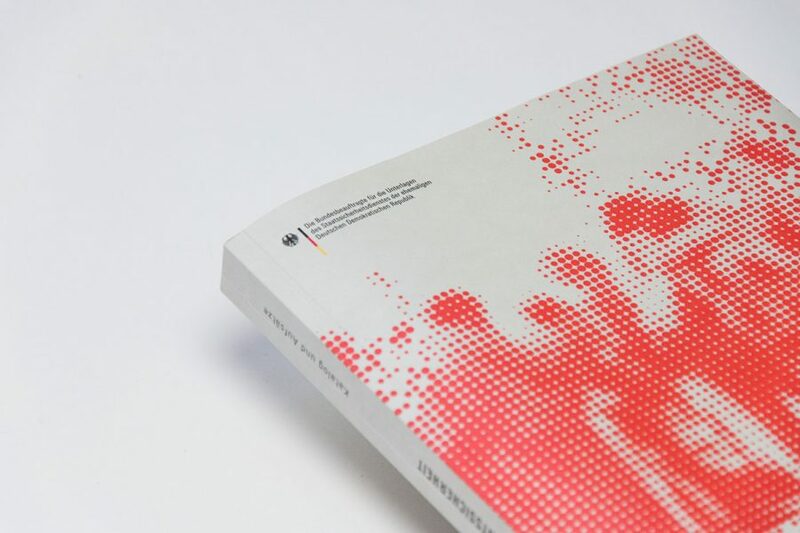 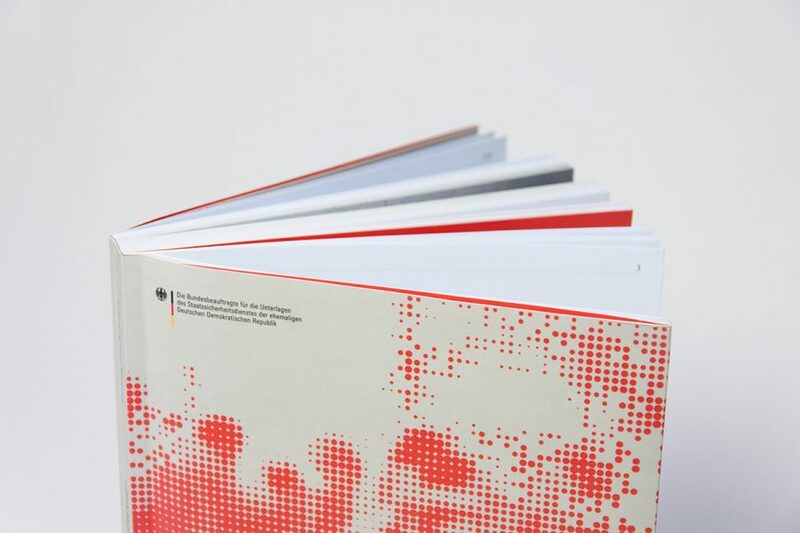 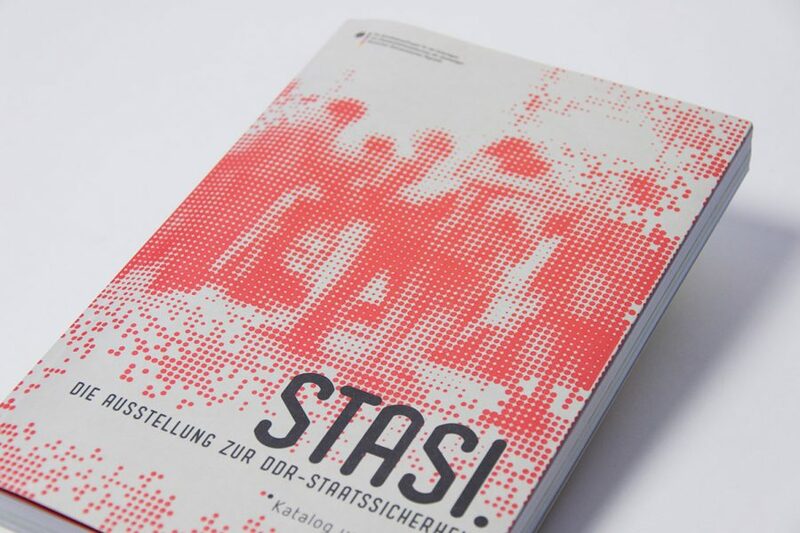 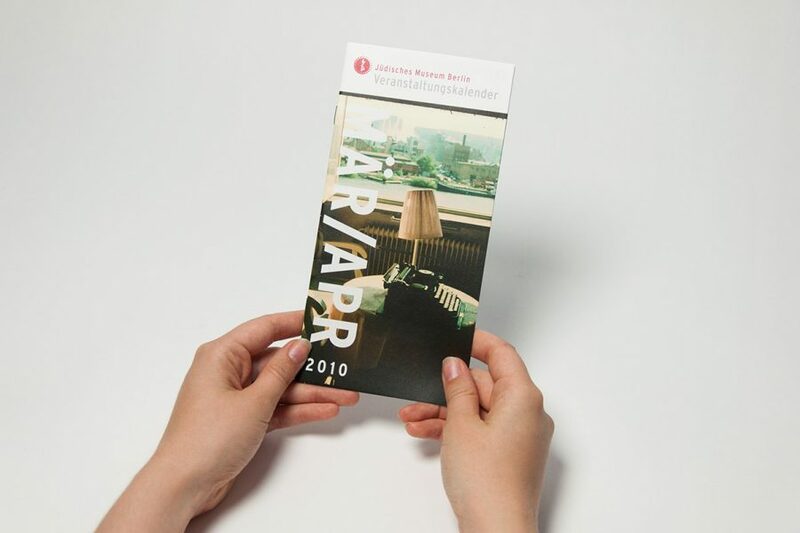 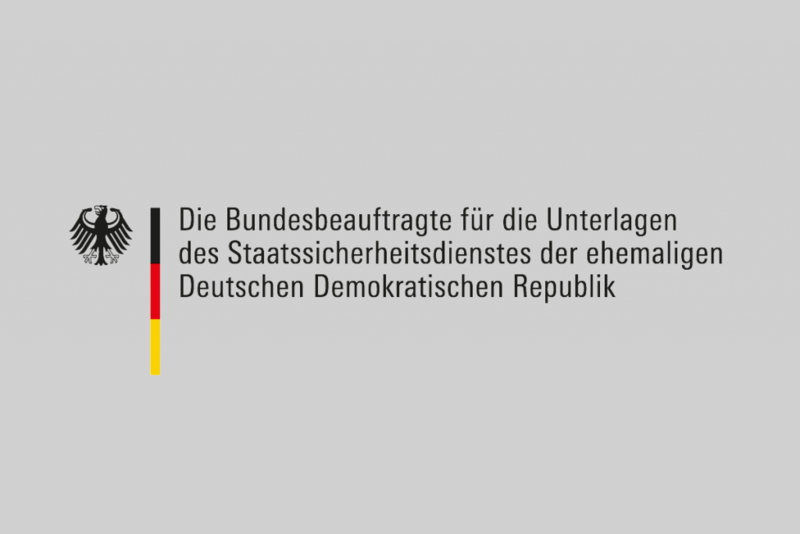 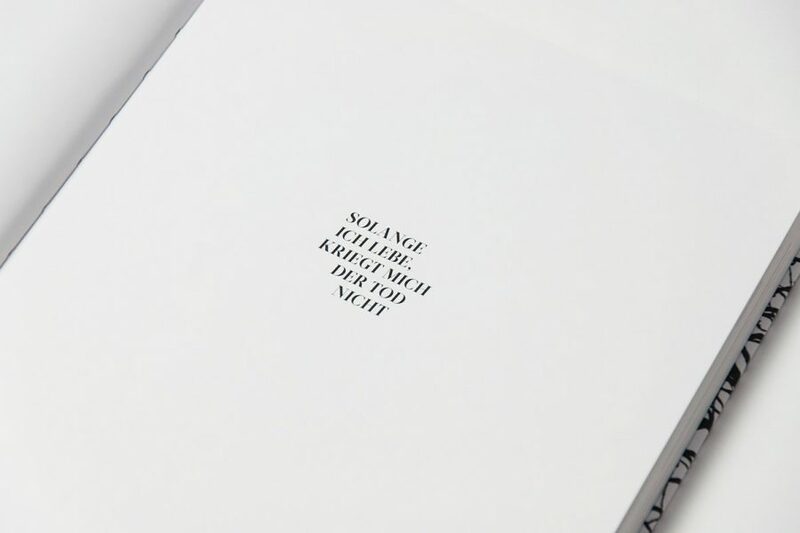 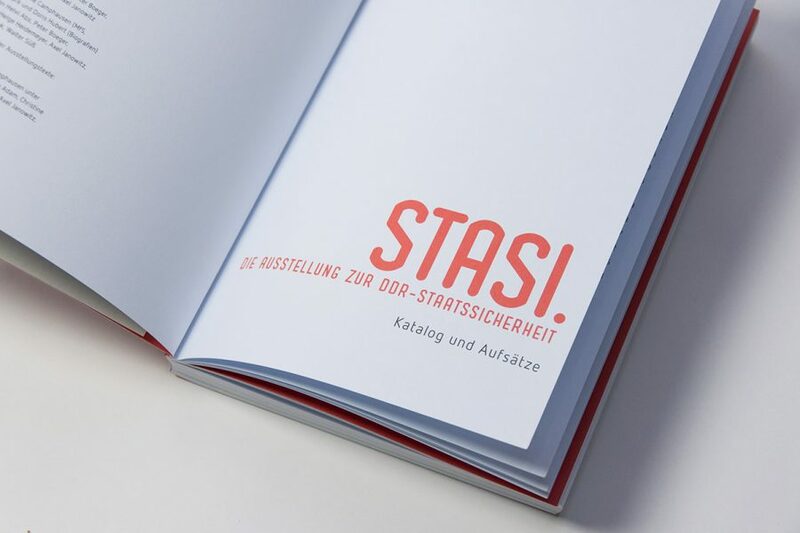 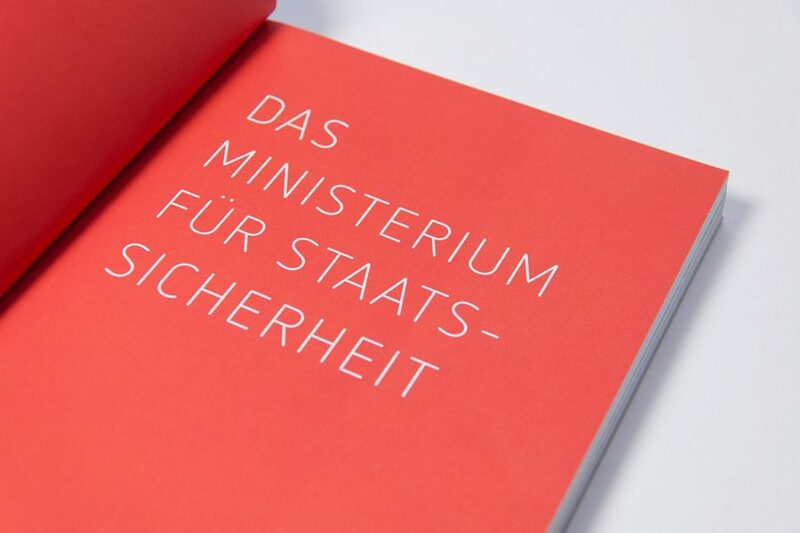 The catalogue’s nine narrative chapters document the history, ideology, structure and influence of the Ministry for State Security (MfS) of the GDR. 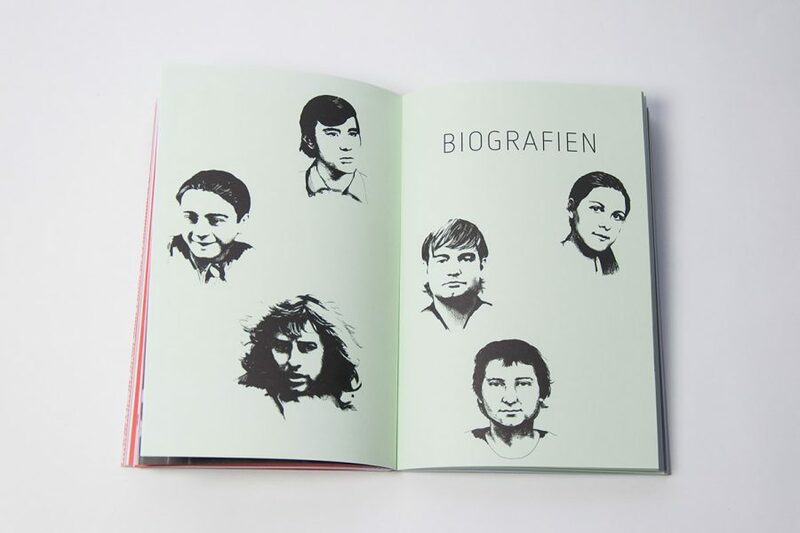 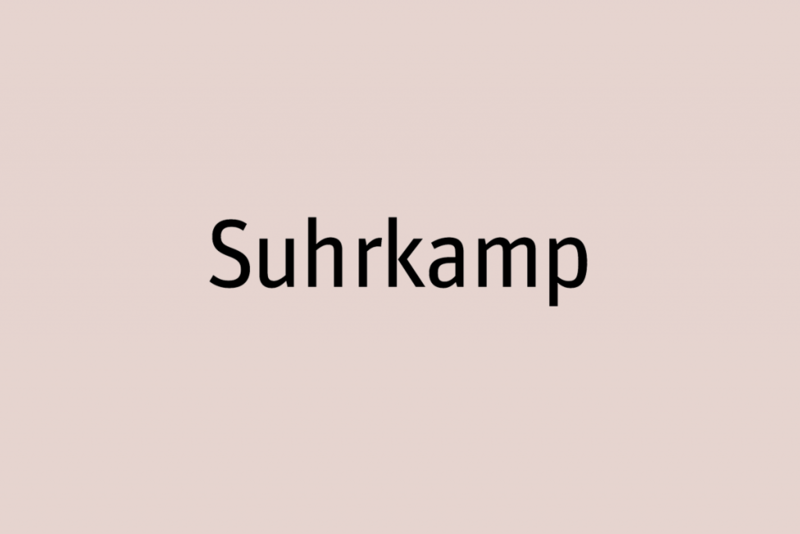 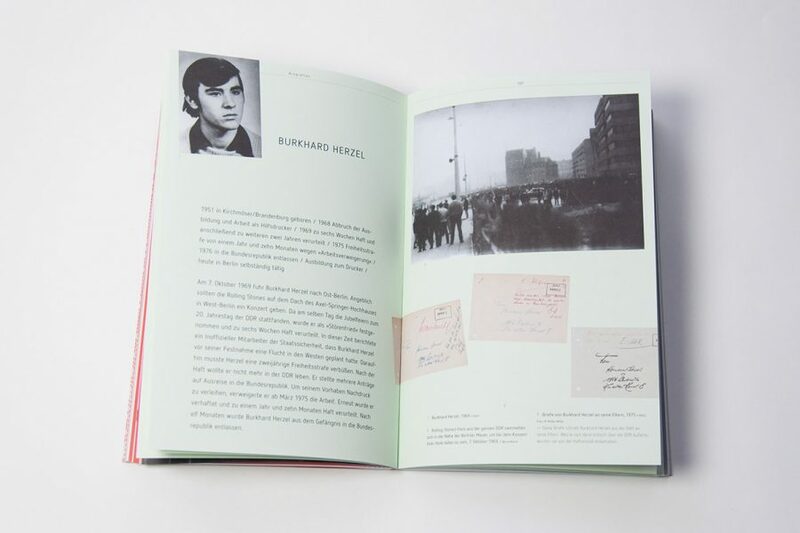 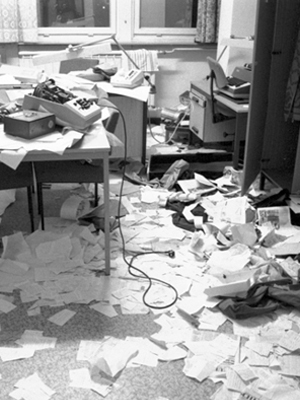 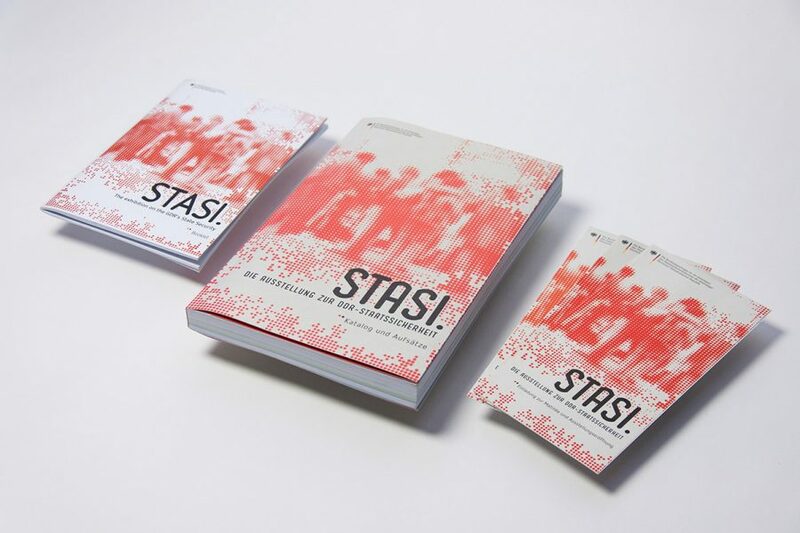 It presets the paradigmatic life stories of six GDR citizens, each of whom had become targets of the STASI. 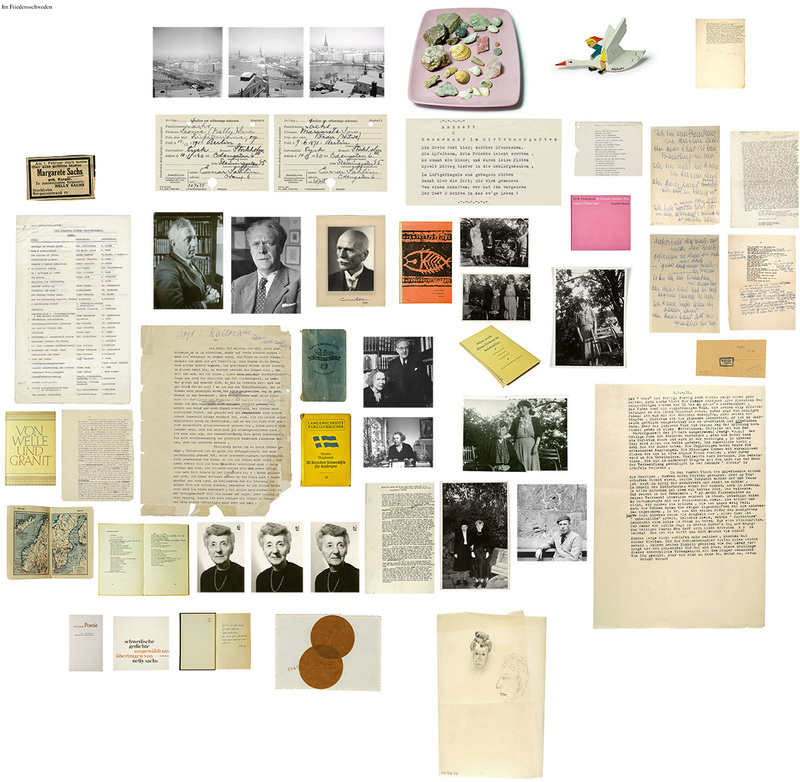 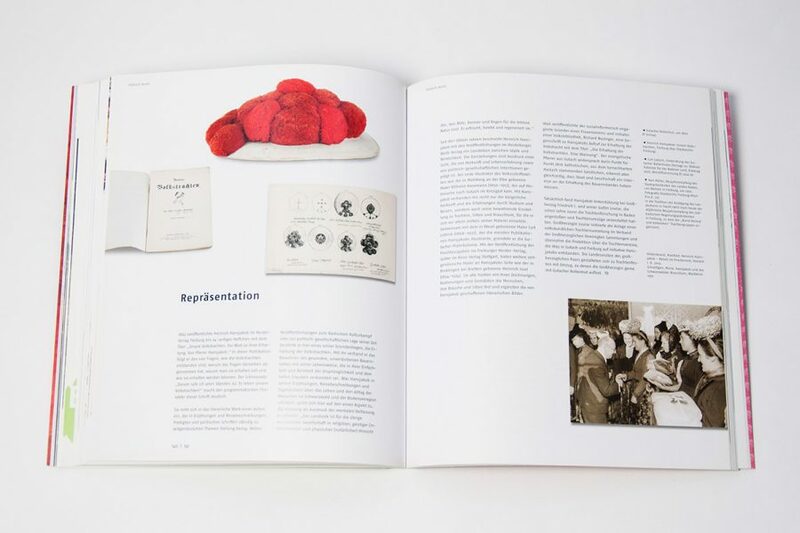 The stories are supplemented by documents, photographs, drawings and 12 essays by distinguished experts. 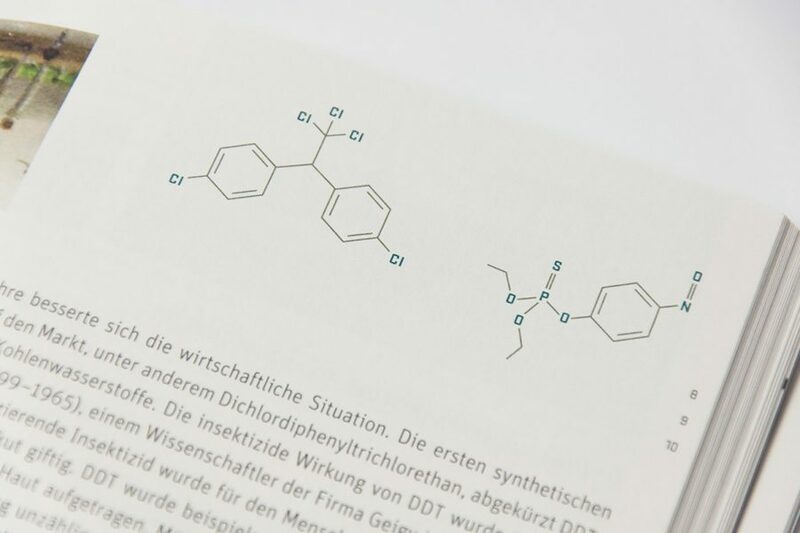 Wie bedeutend ist die Entwicklung der Pharmazie und der Chemie für die Welt? 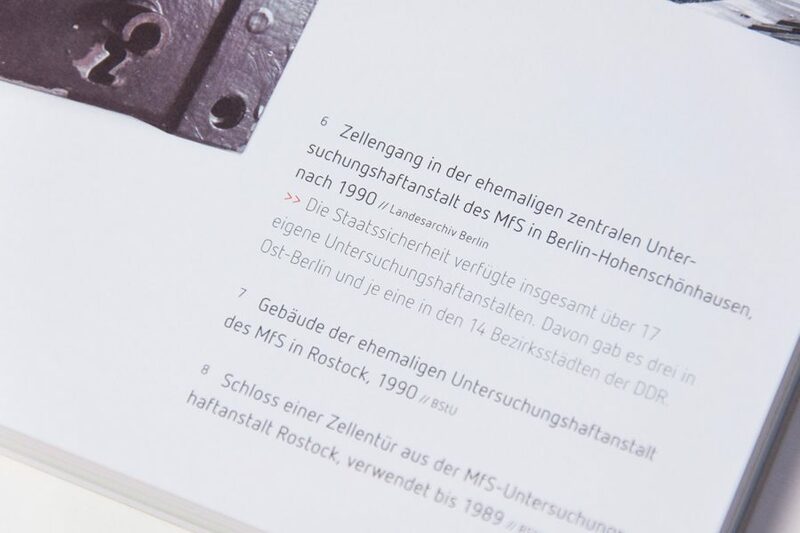 Ein ergänzender Ausstellungskatalog über die Industriegeschichte Berlins. 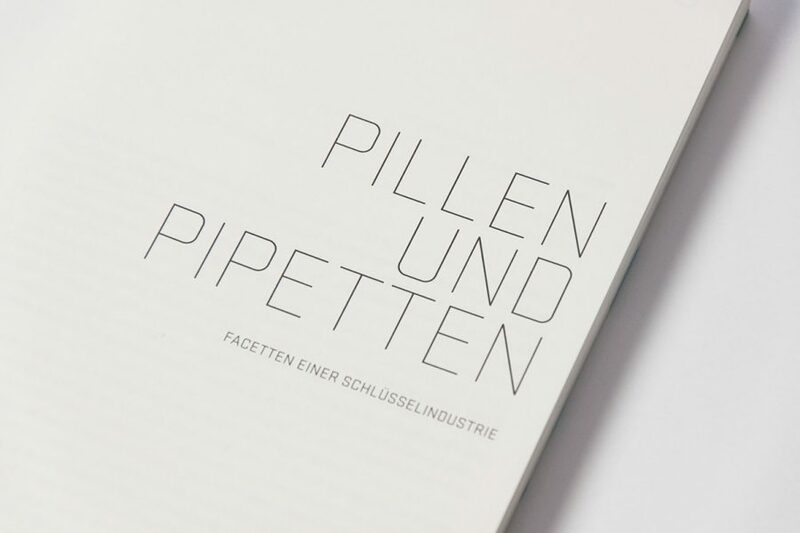 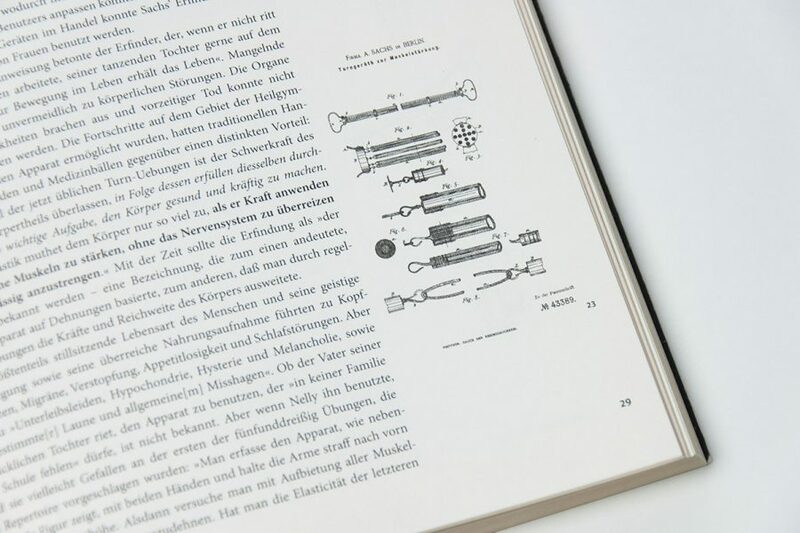 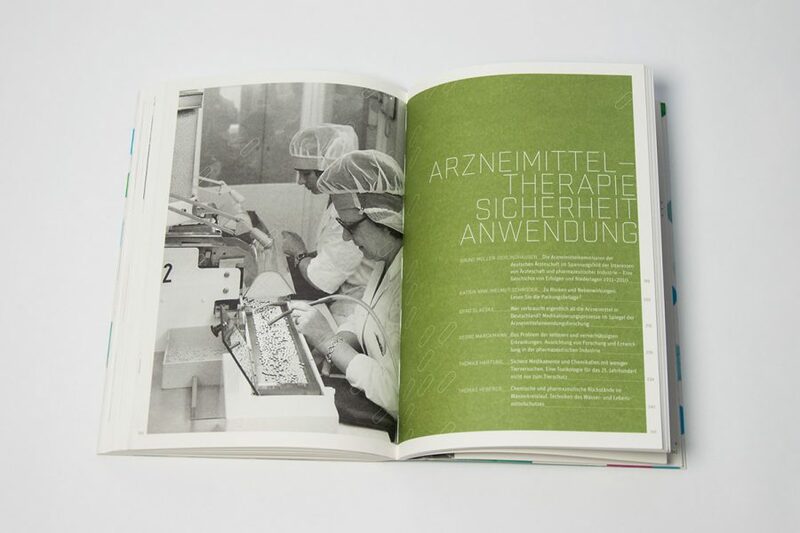 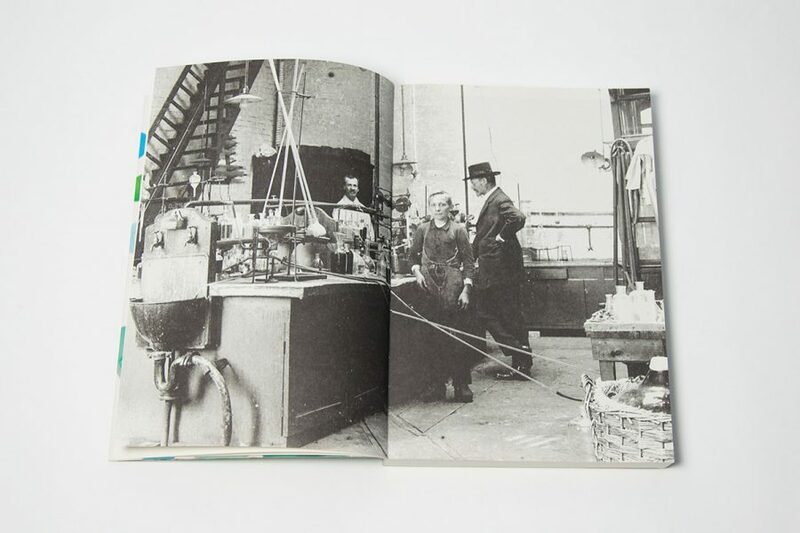 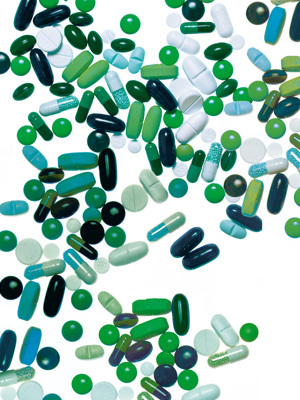 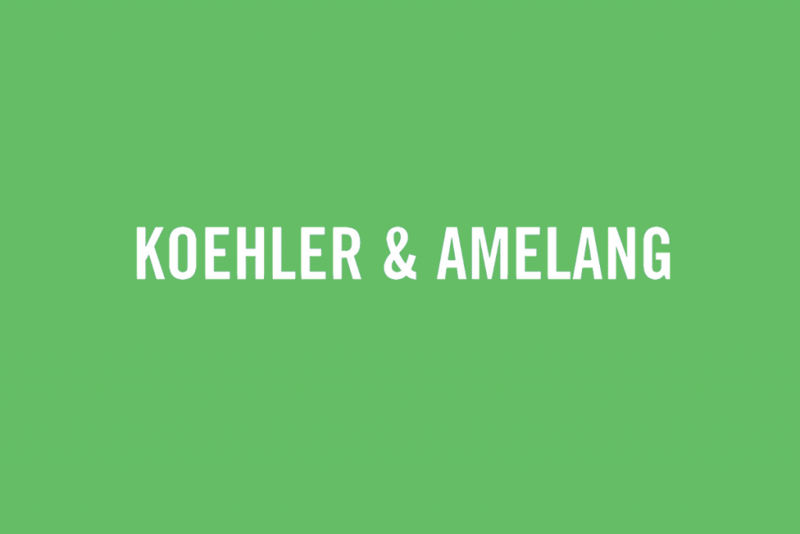 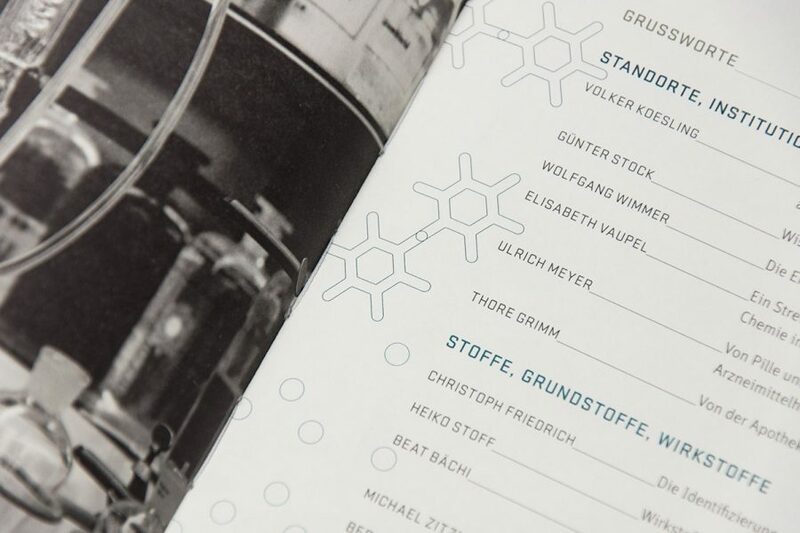 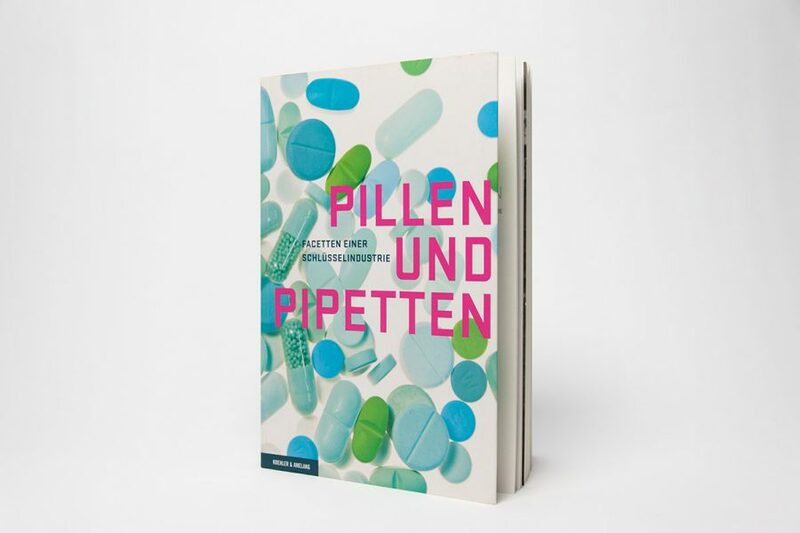 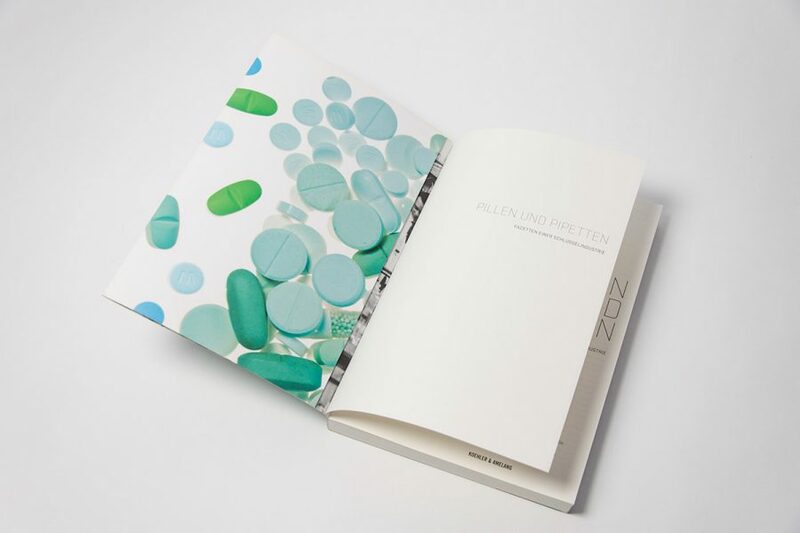 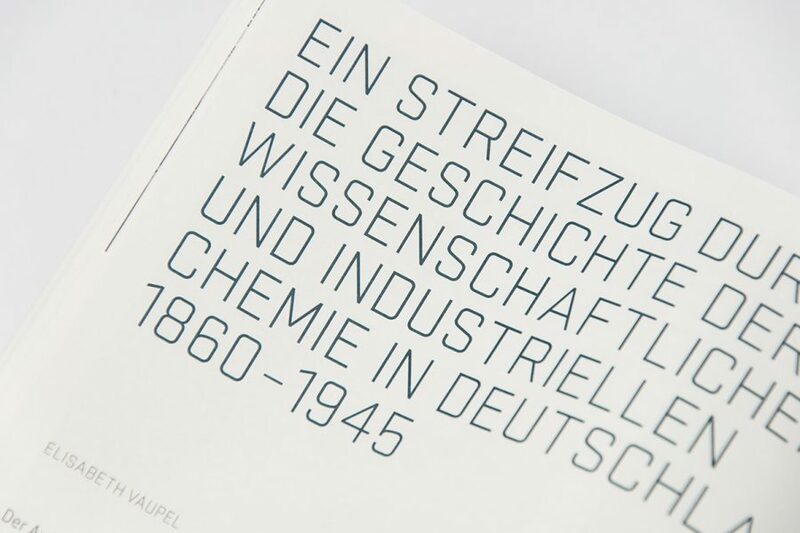 The catalogue »Pills and Pipettes – The chemical pharmaceutical industry as exemplified by Schering« supplements the exhibition at the German Museum of Technology and provides the reader with an overview of the various different perspectives involved. 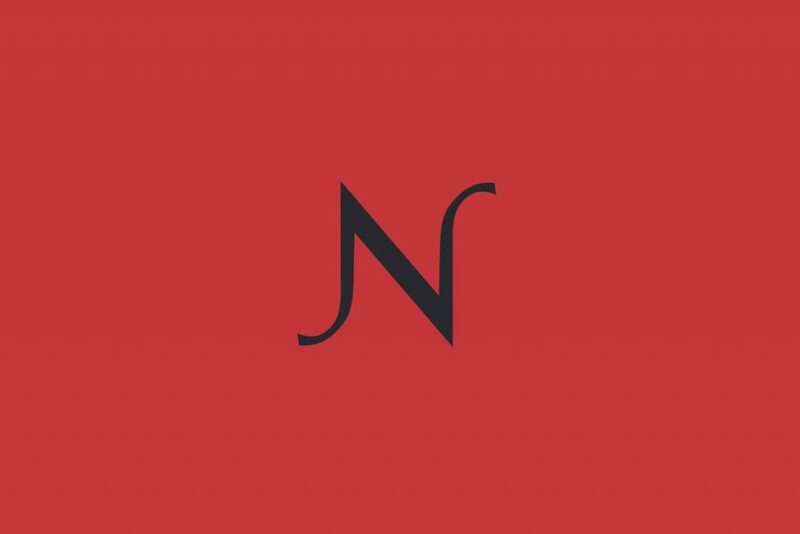 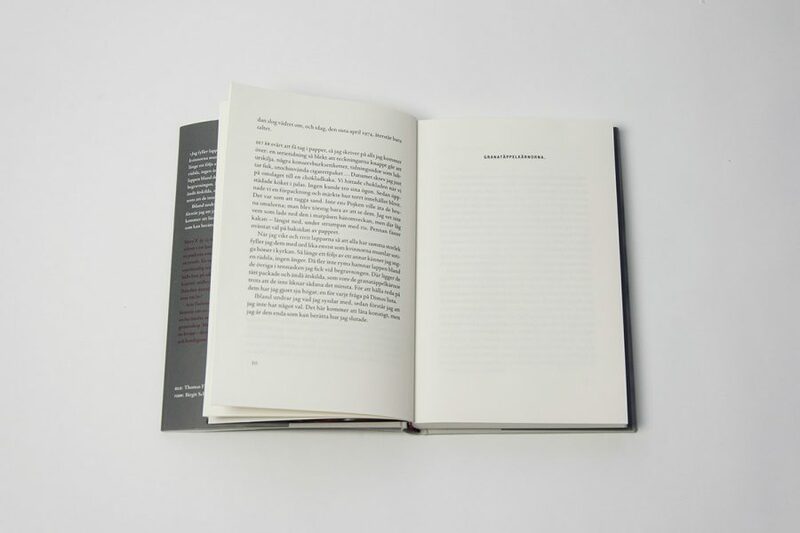 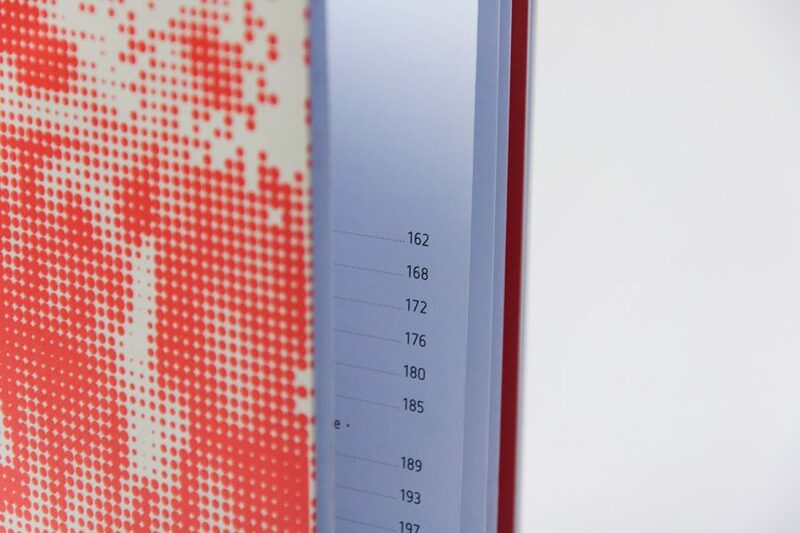 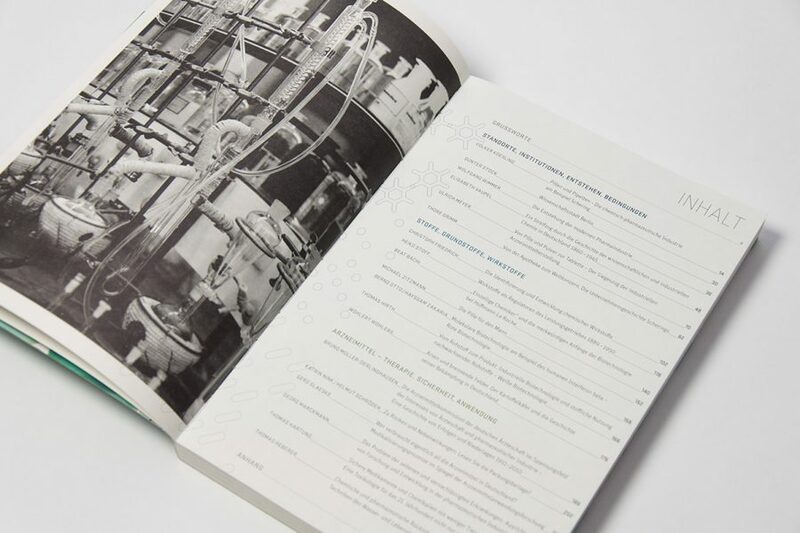 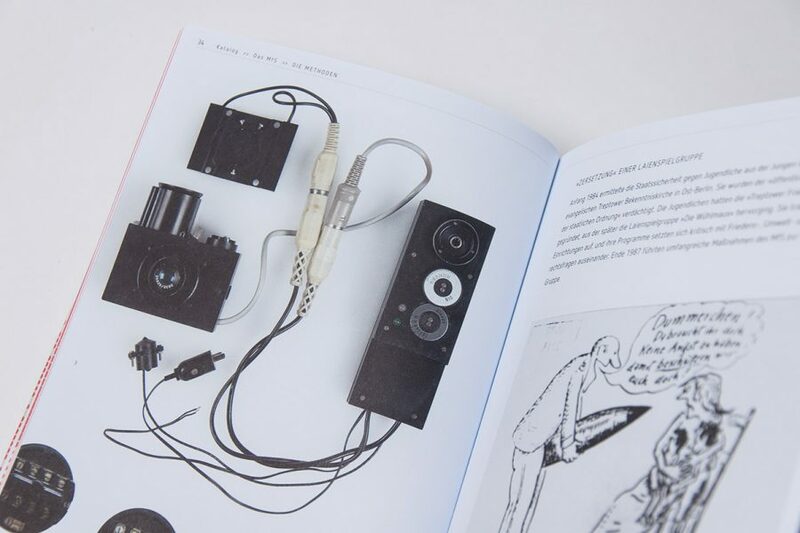 With critical essays, historical photographs and infographics, the book encompasses everything from historical development to crucial current topics like the search for alternatives to animal experimentation, the supply of medicines worldwide and advances in the field of modern biotechnology. 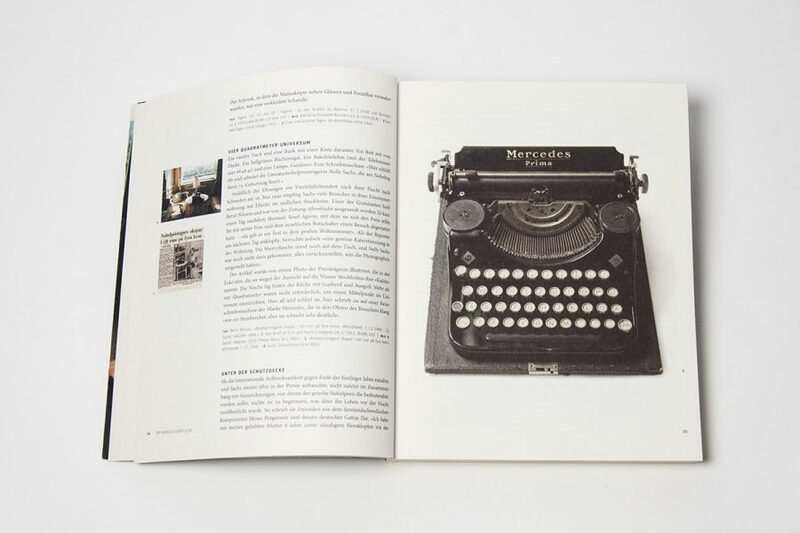 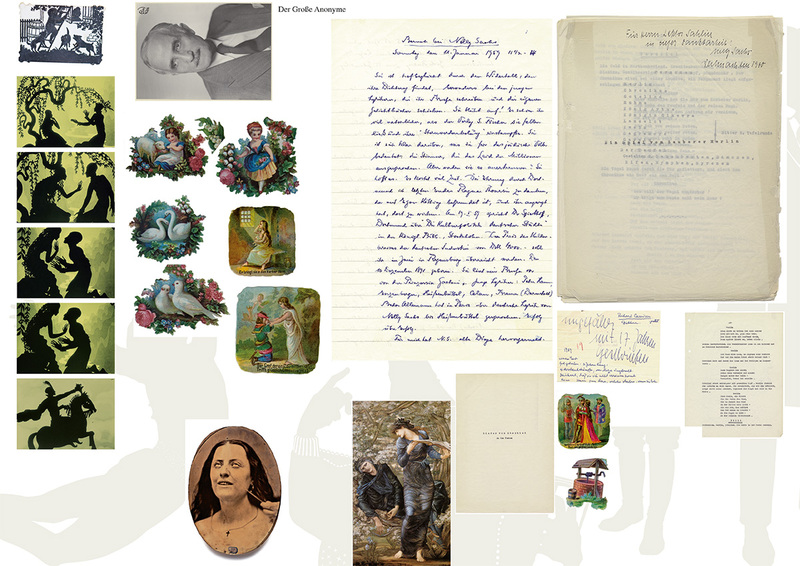 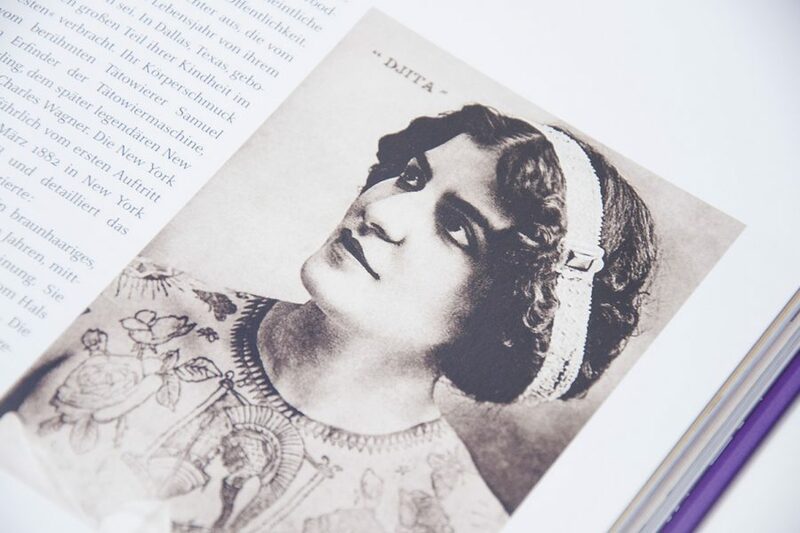 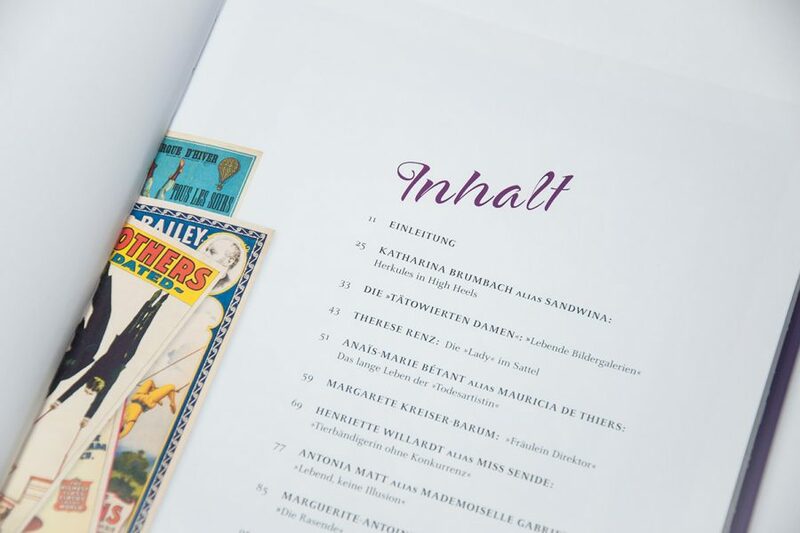 In the catalogue accompanying the exhibition, the Swedish author Aris Fioretos illustrates the historic and biographic context of Nelly Sachs’s poems, presenting numerous previously unpublished photographs and documents. 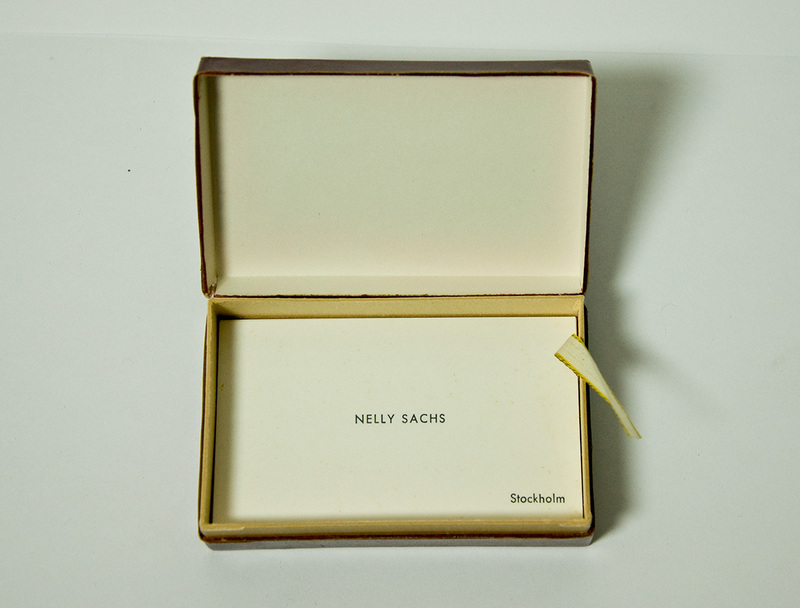 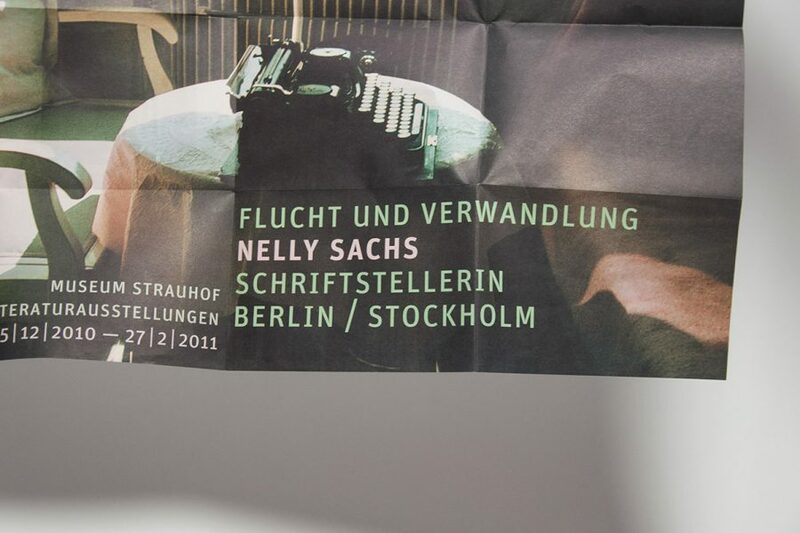 Nelly Sachs, who in 1940 fled from Berlin to Stockholm on one of the last passenger planes, was awarded to Nobel Prize for Literature in 1966. 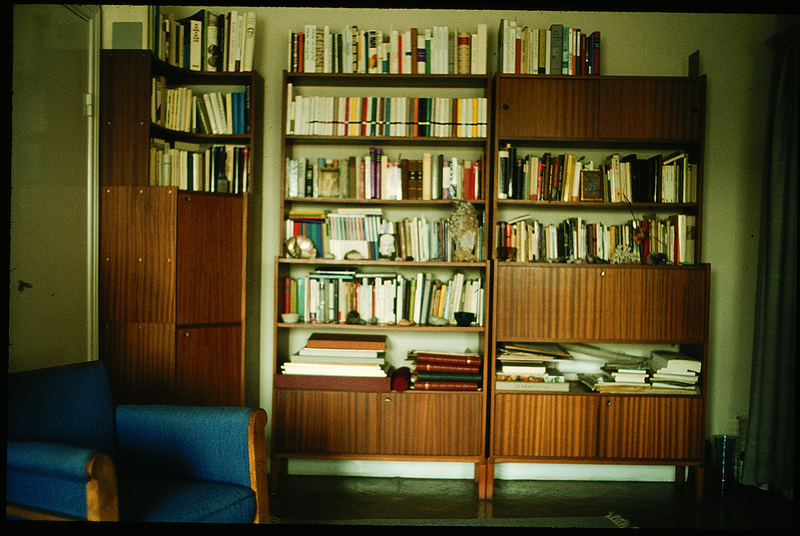 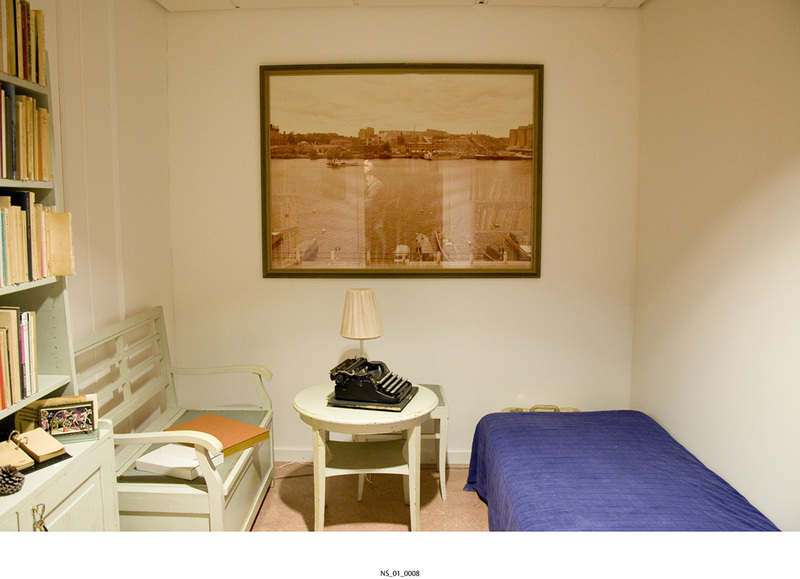 A large portion of her poetic output was written in a 4 m2 alcove within her apartment in Stockholm. 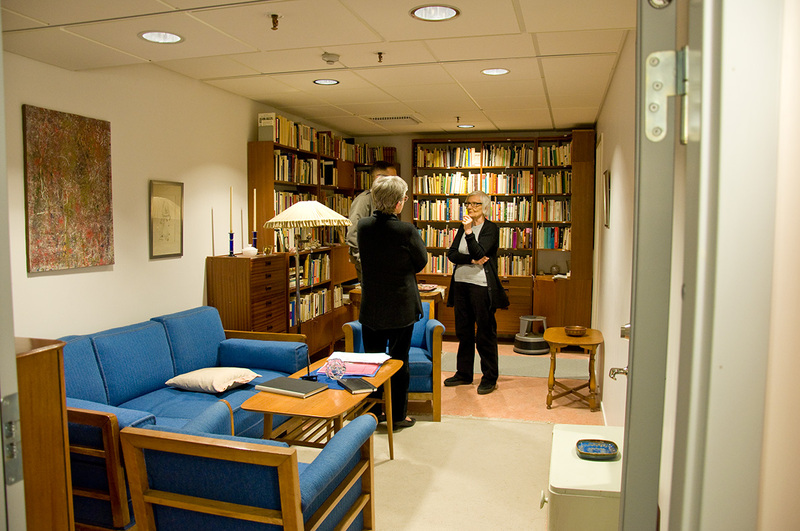 The furniture of Sachs’s apartment are stored at the Royal Swedish Library and were documented and photographed for the catalogue. Proudly powered by WordPress | Theme: gewerk_design by Underscores.me.